We fish two people per boat most days. 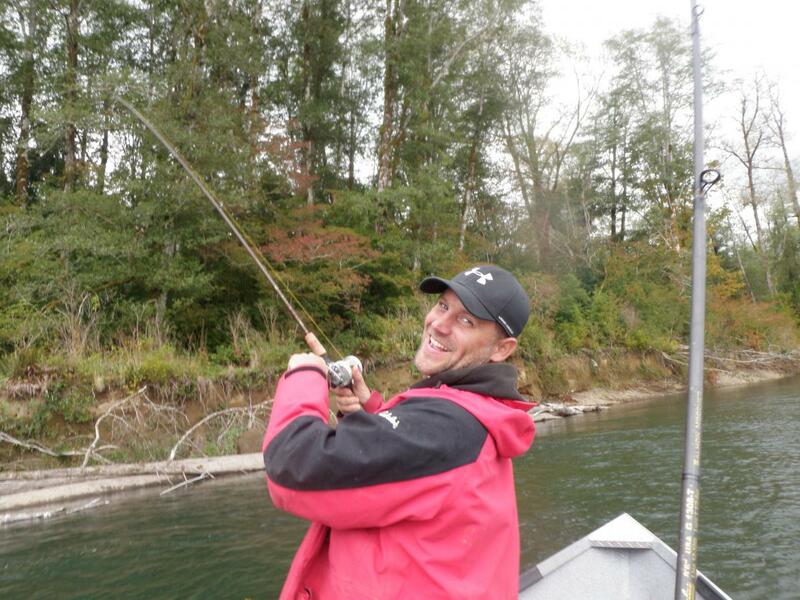 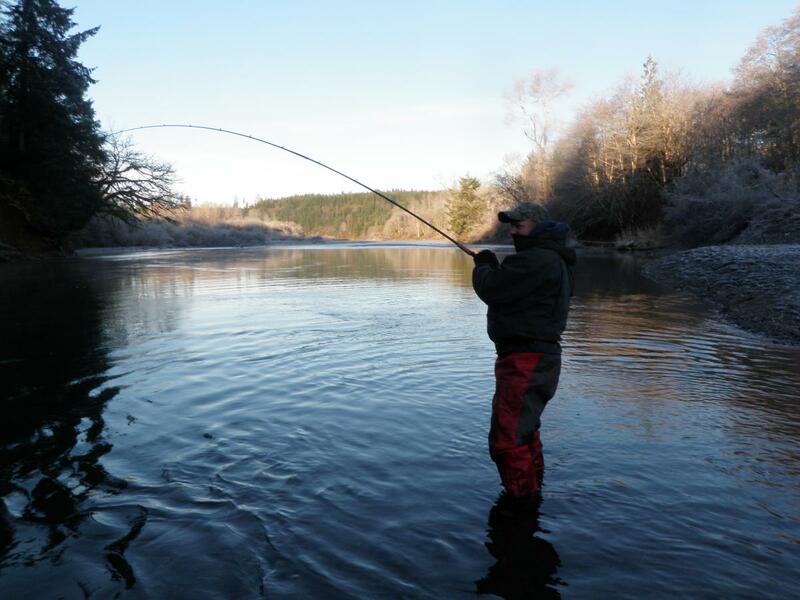 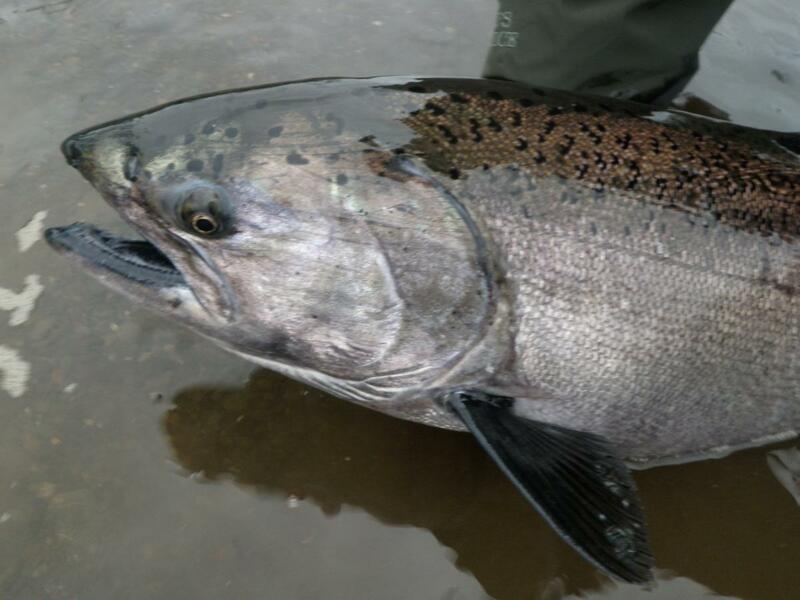 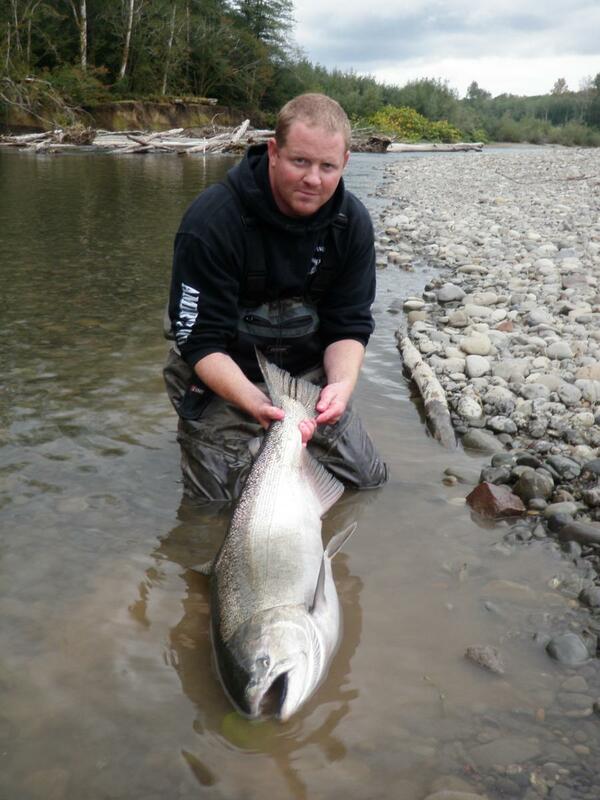 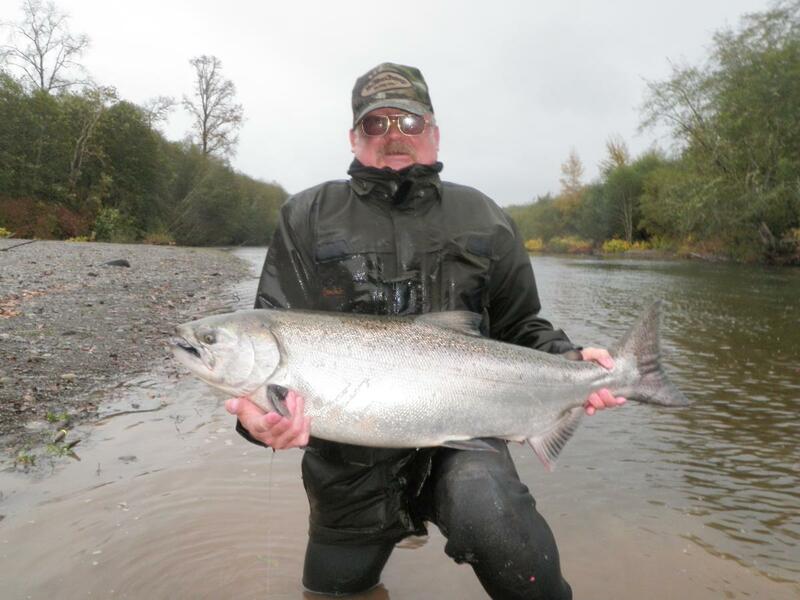 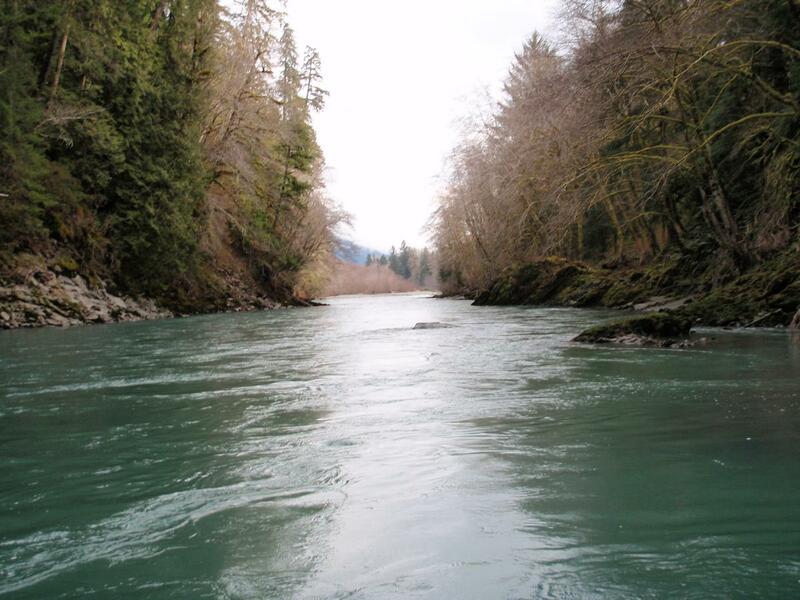 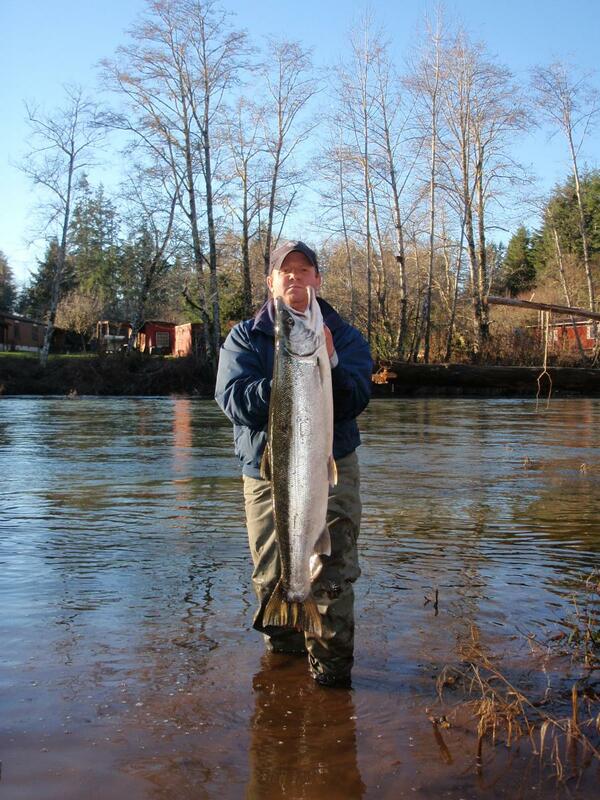 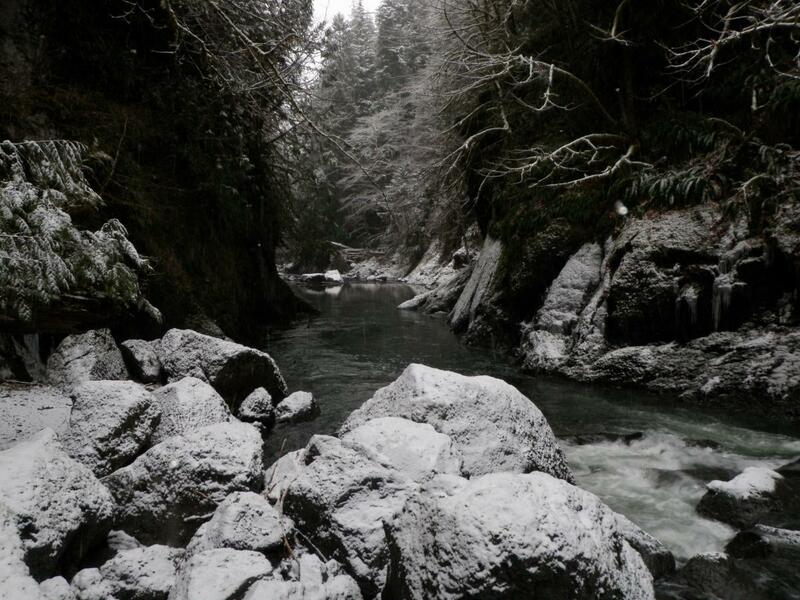 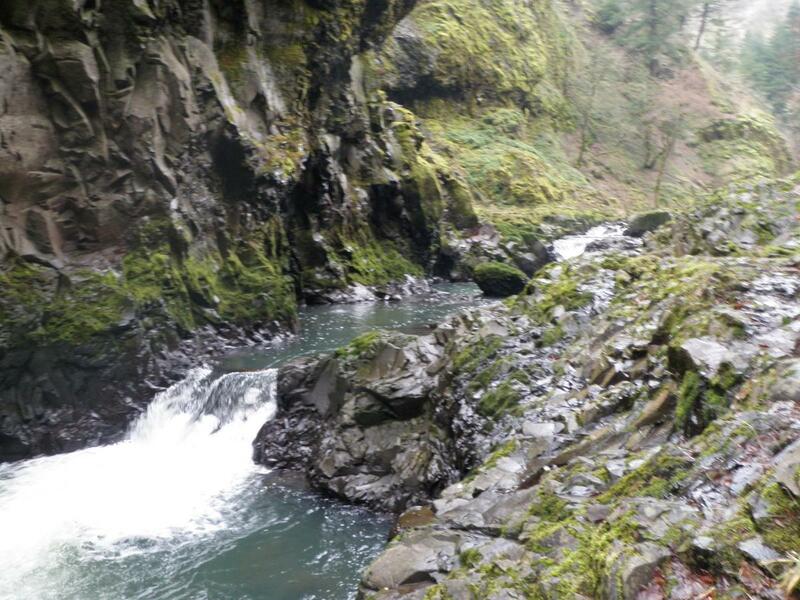 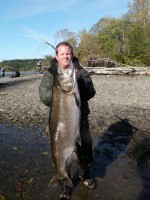 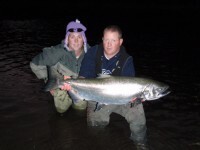 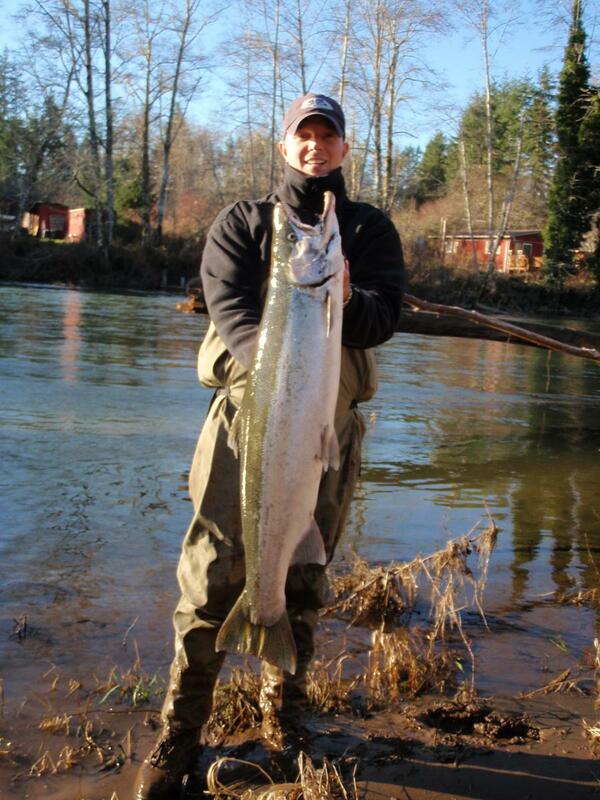 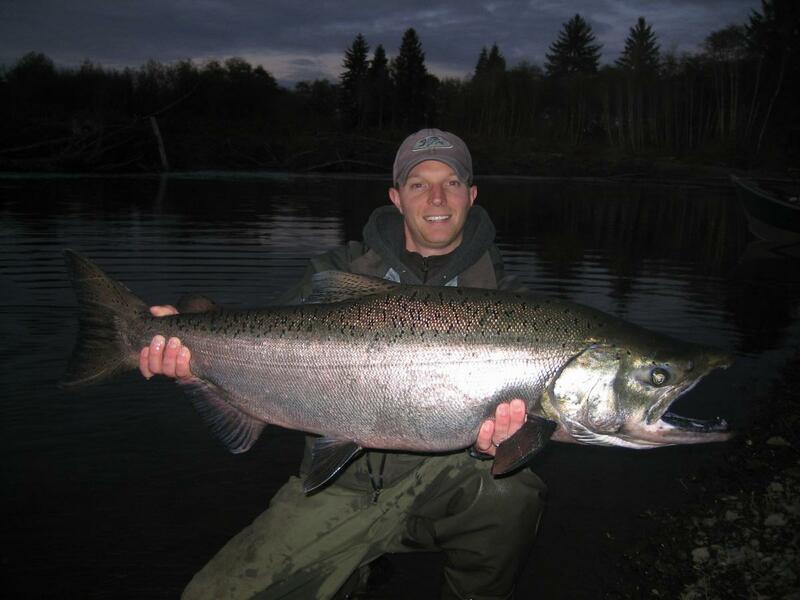 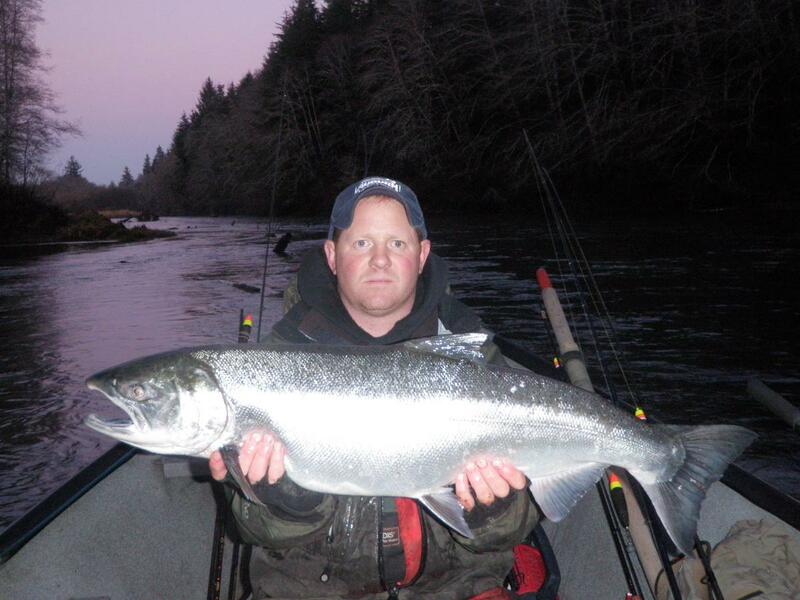 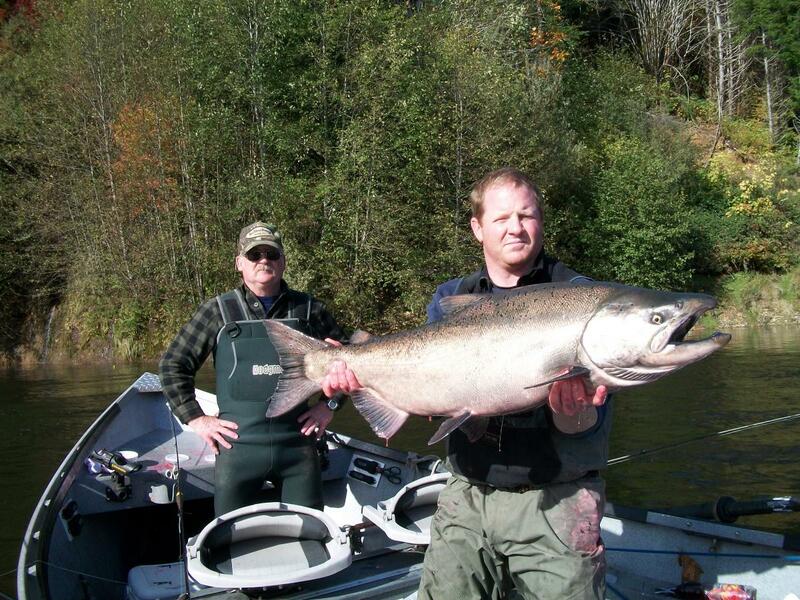 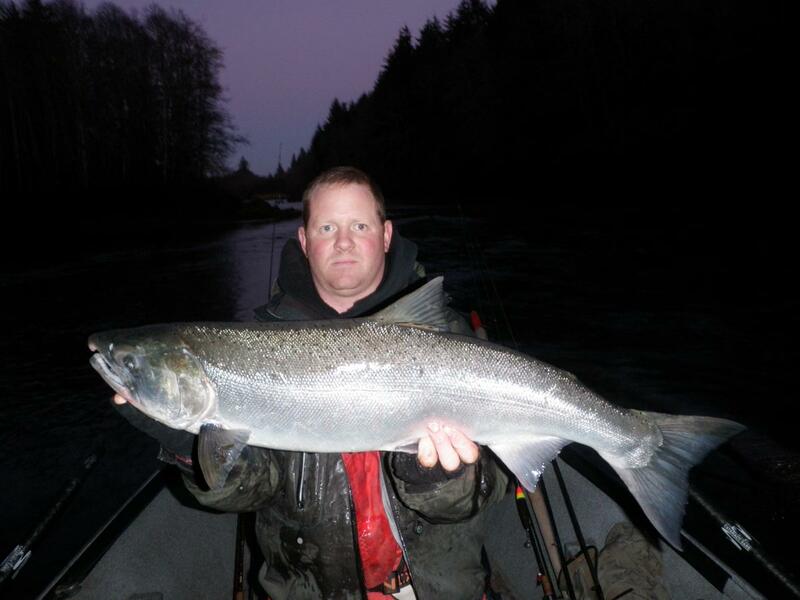 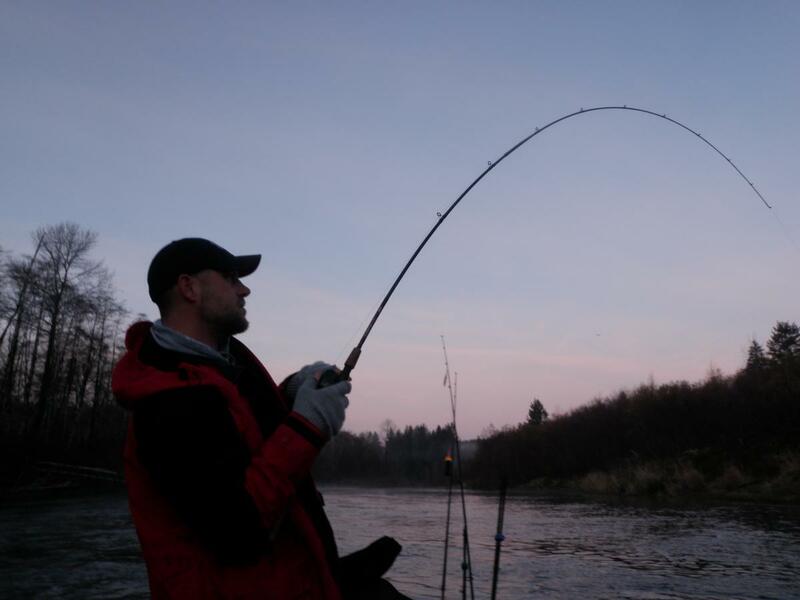 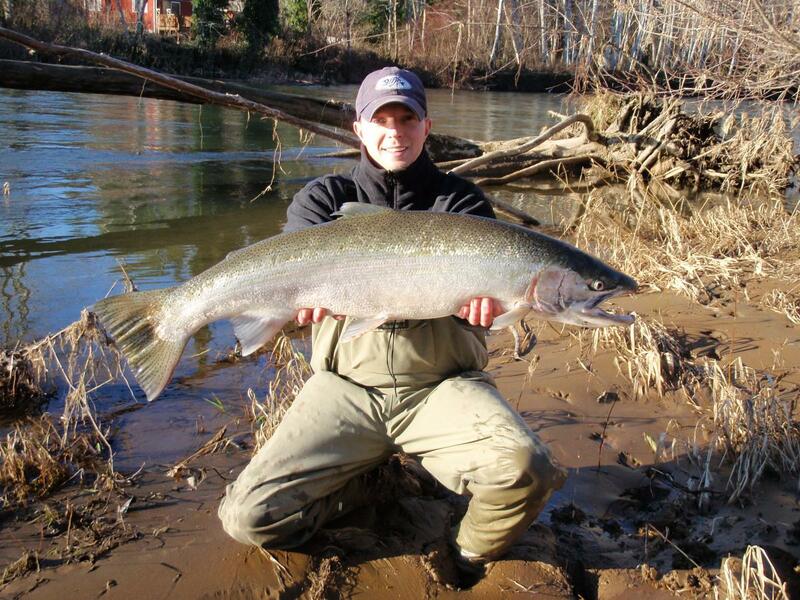 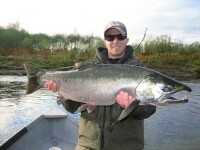 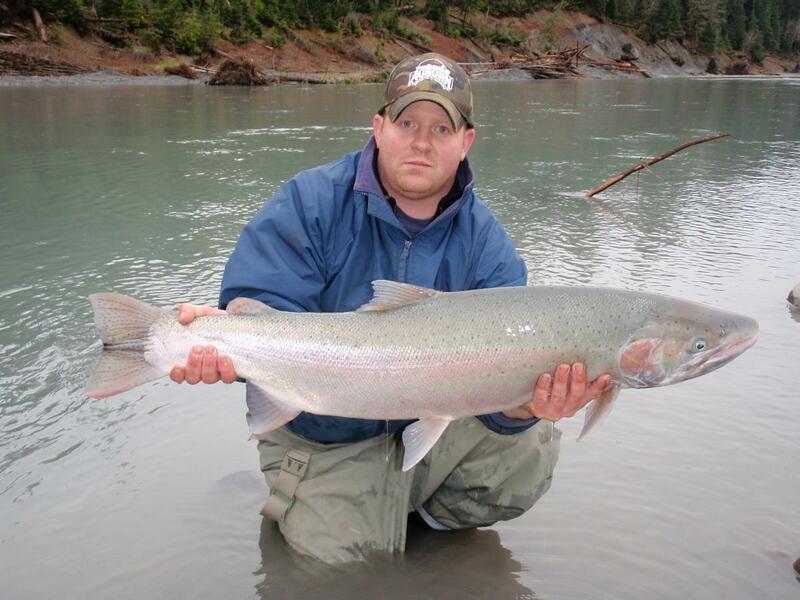 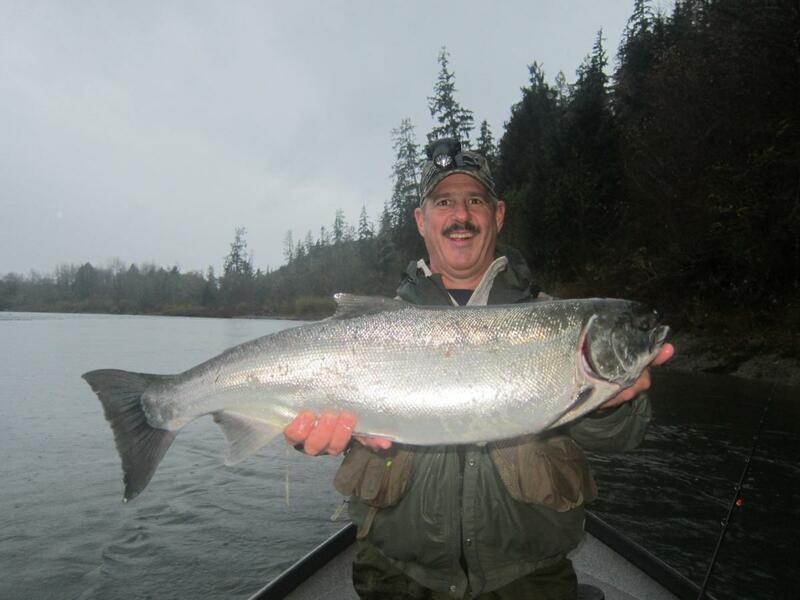 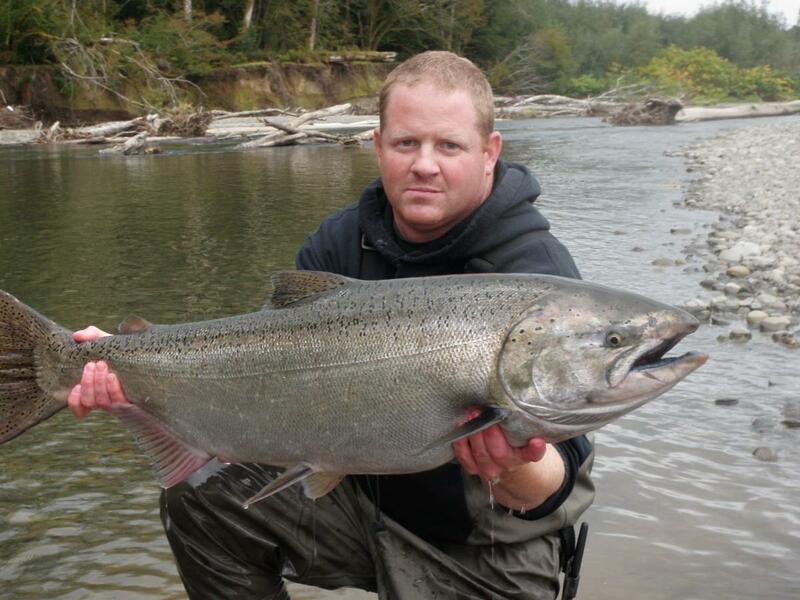 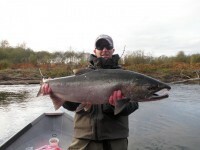 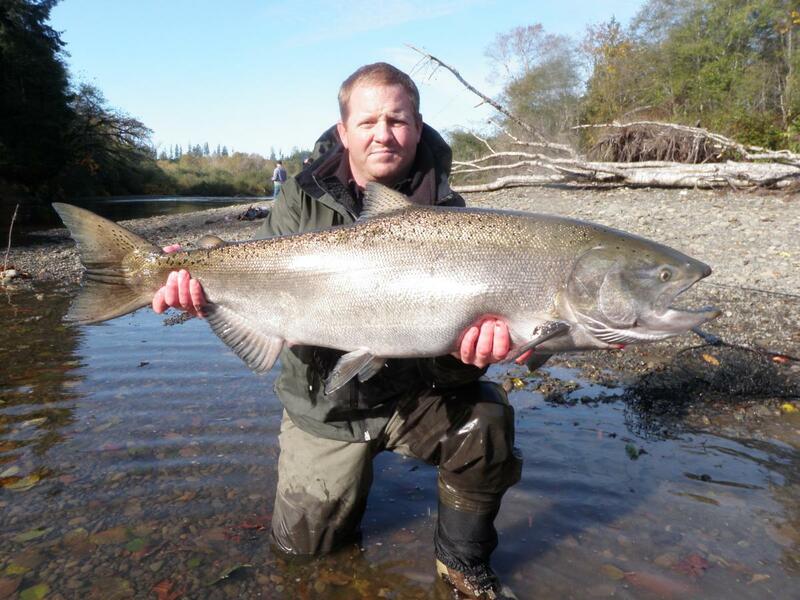 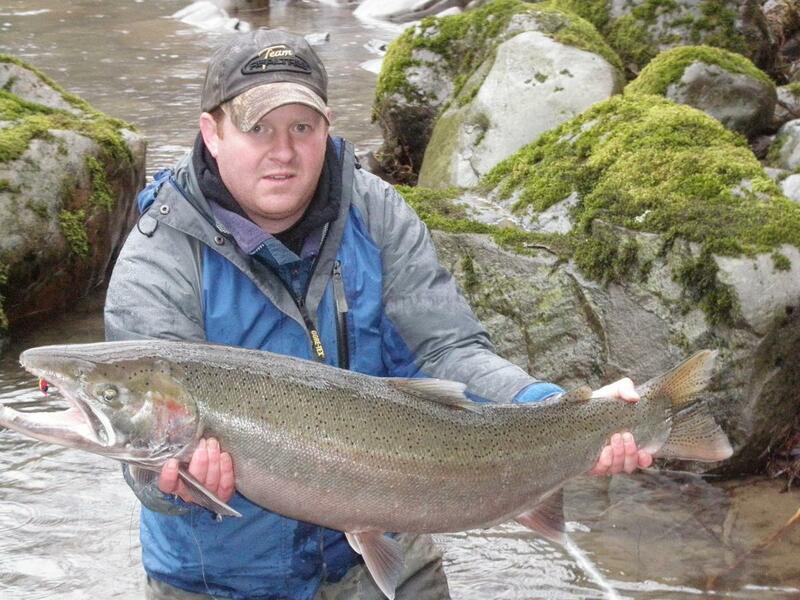 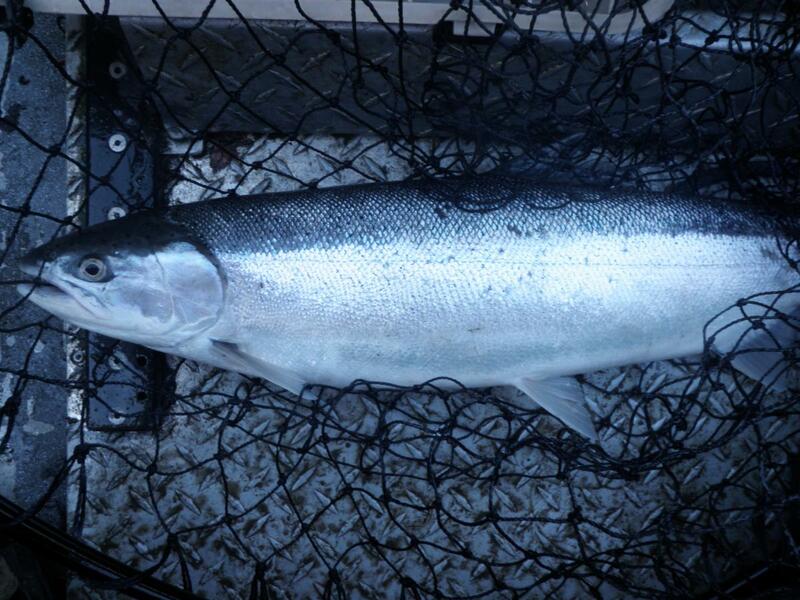 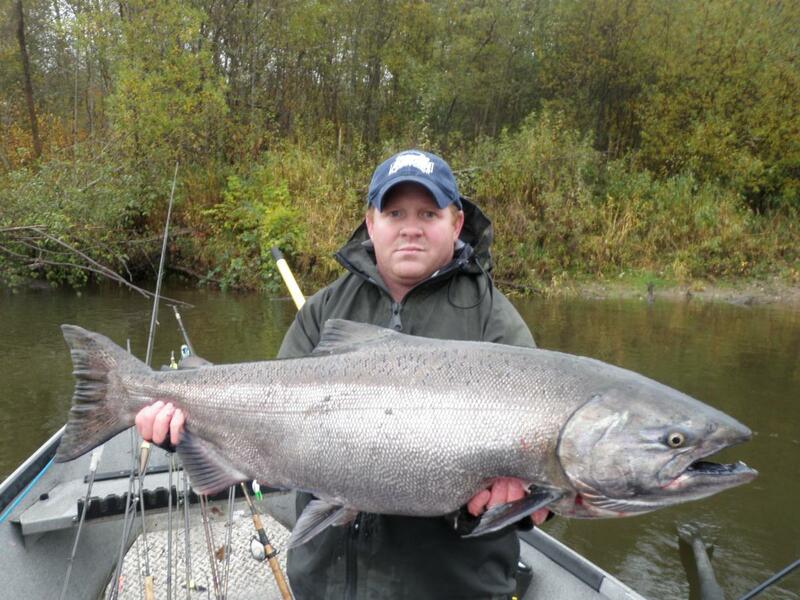 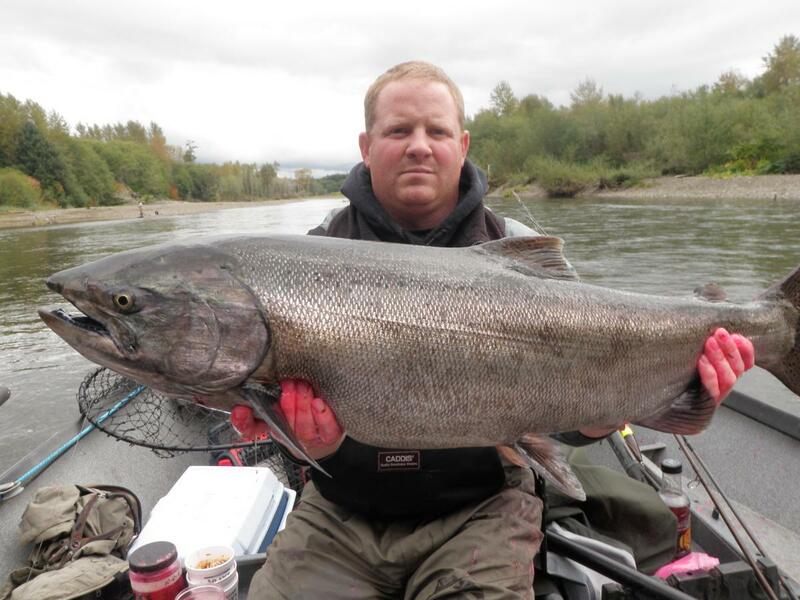 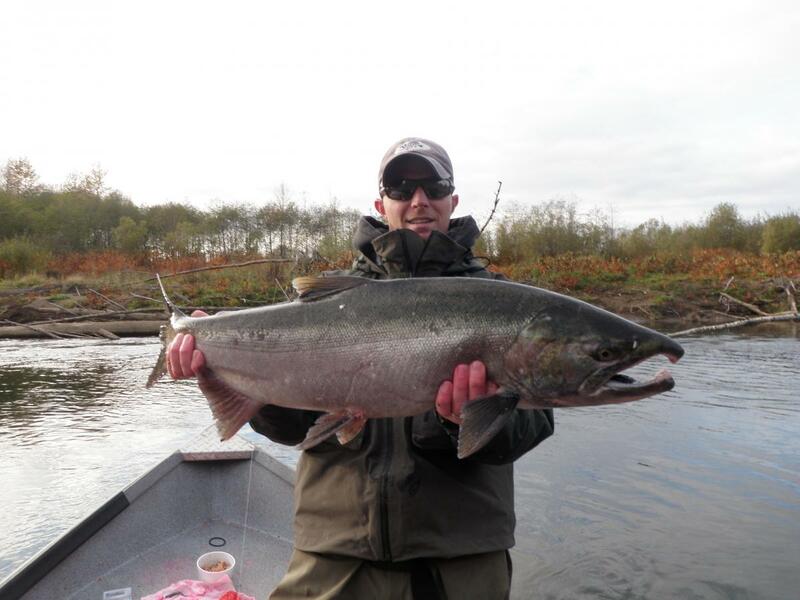 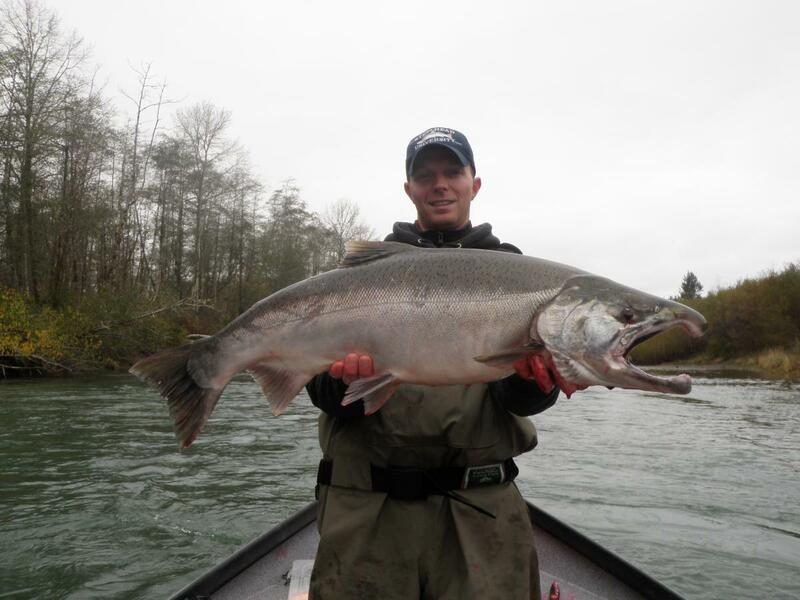 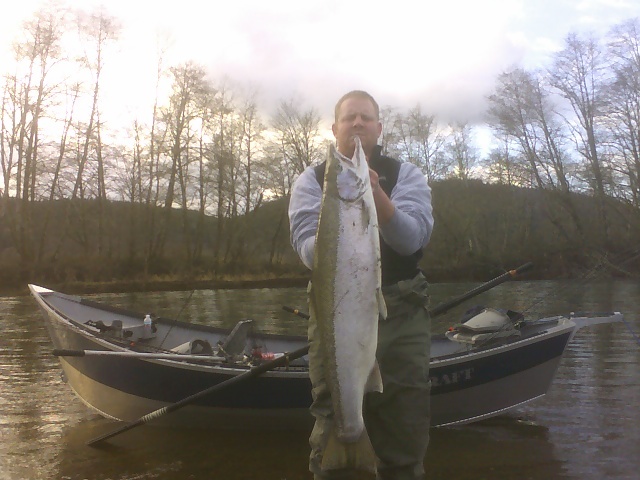 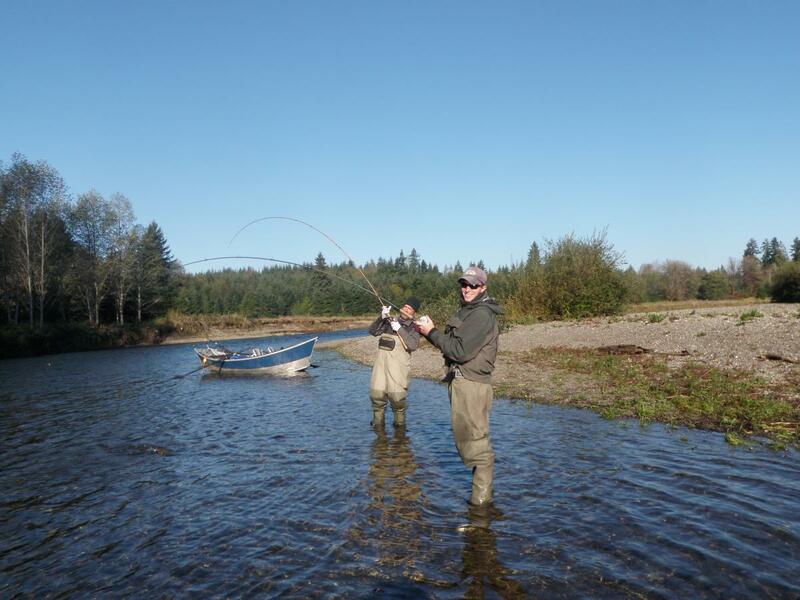 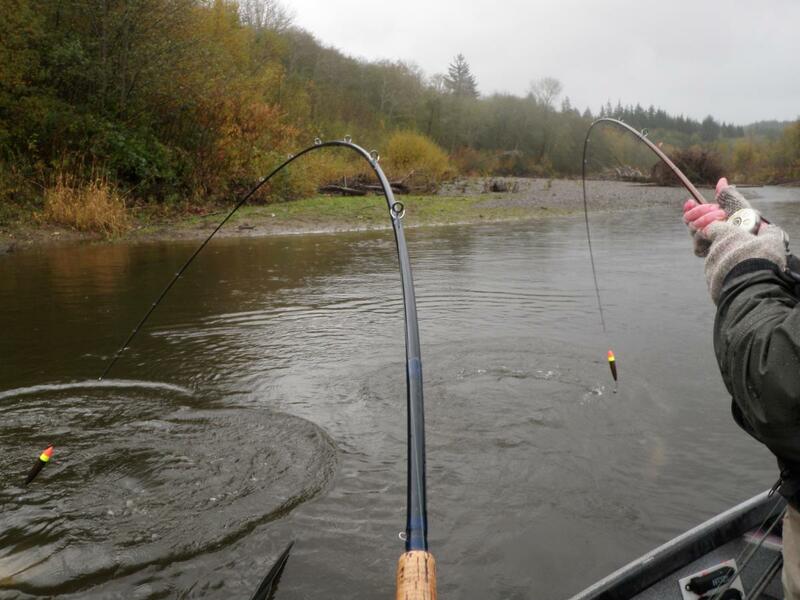 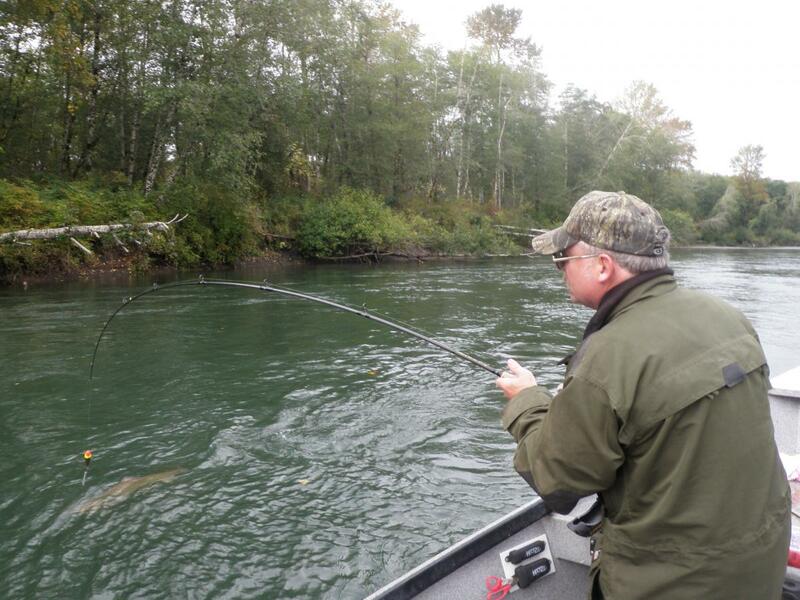 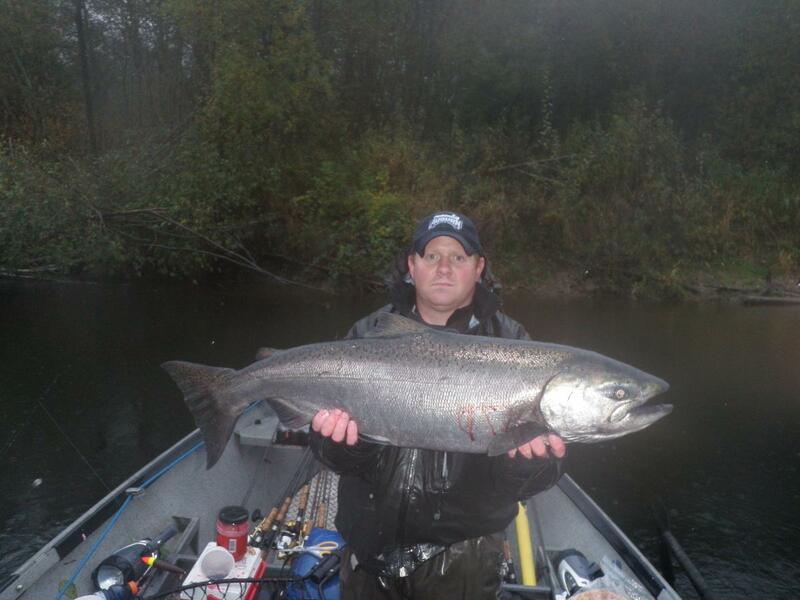 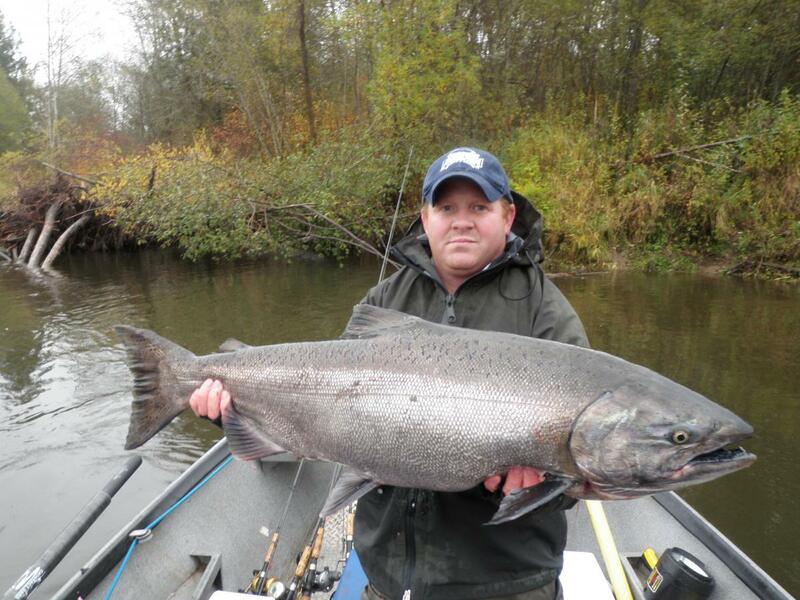 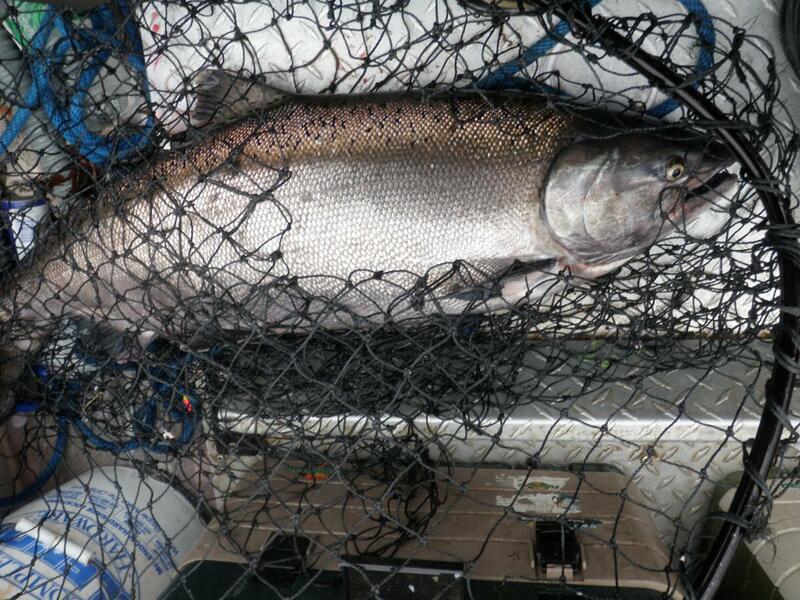 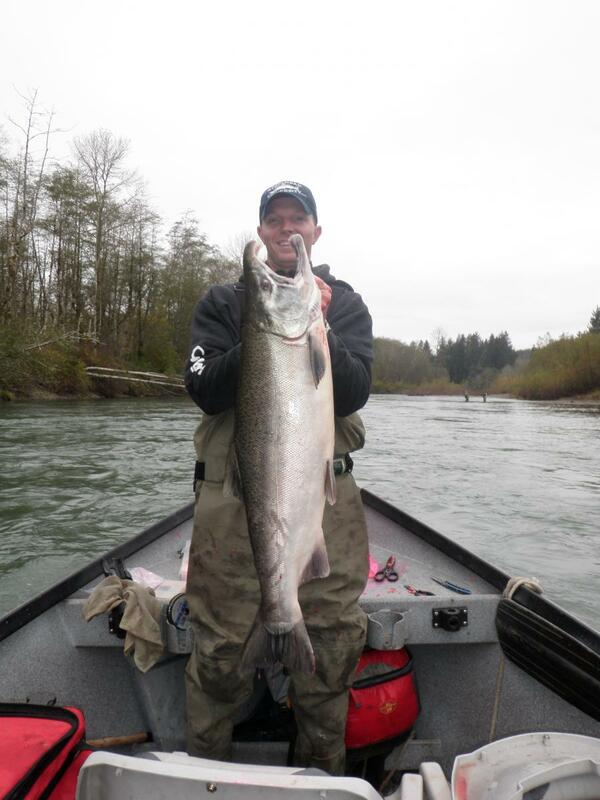 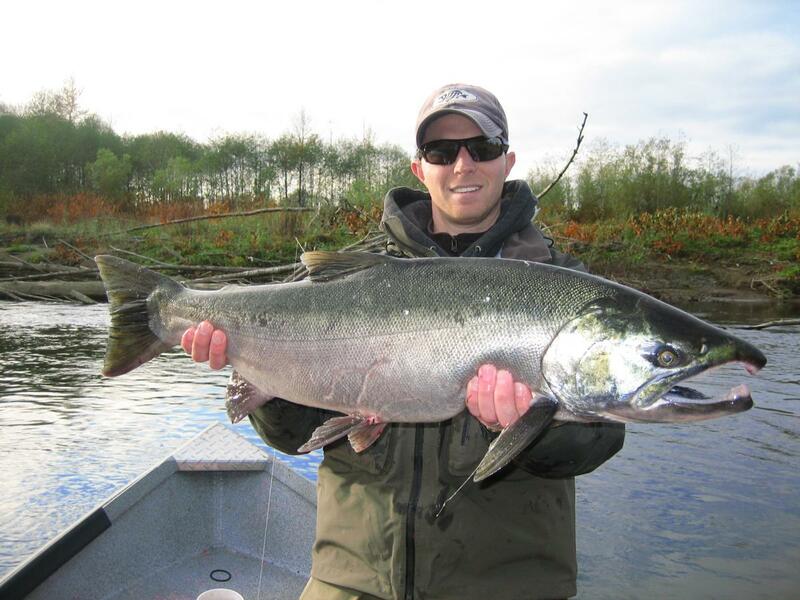 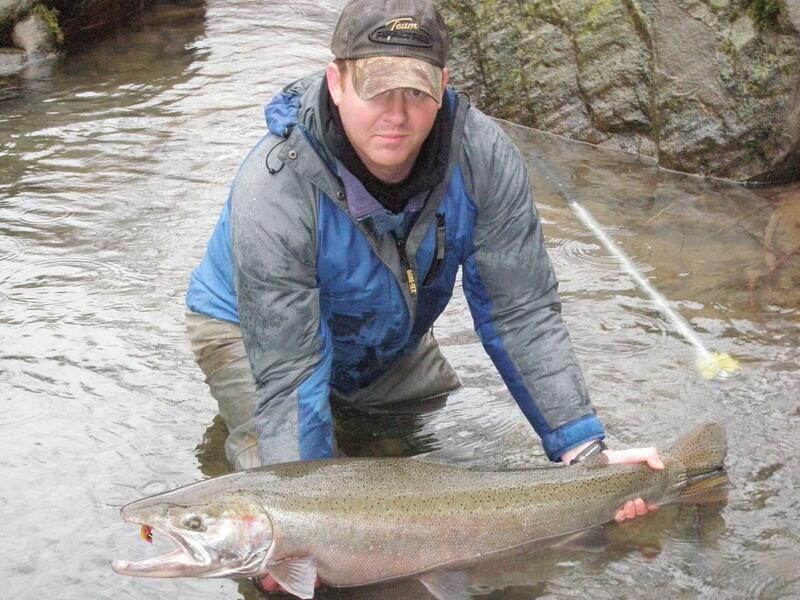 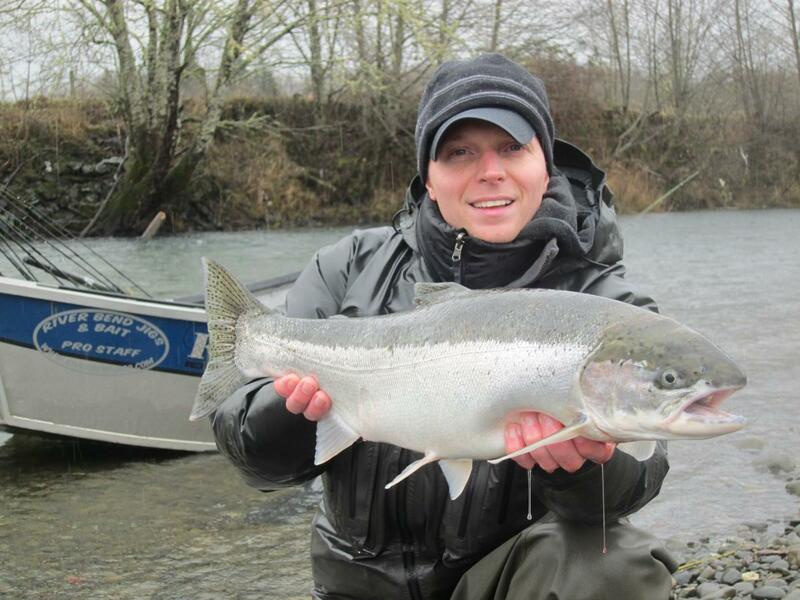 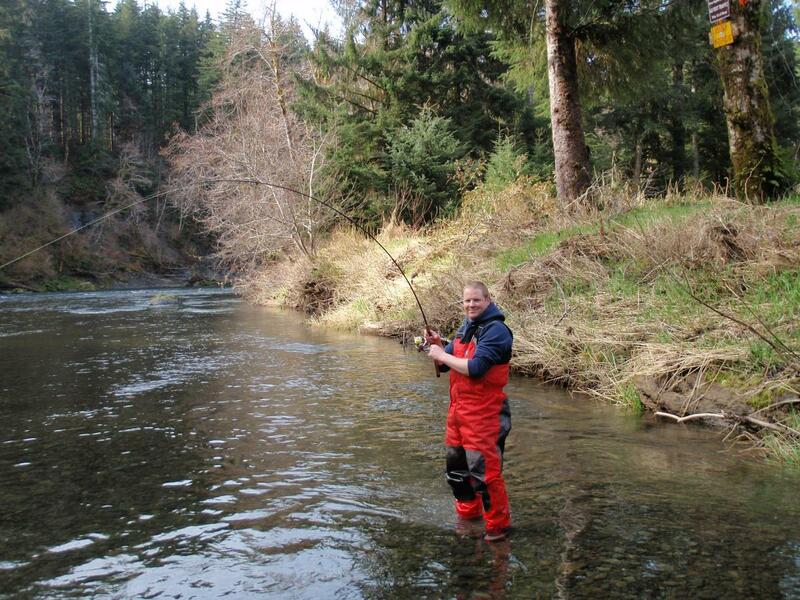 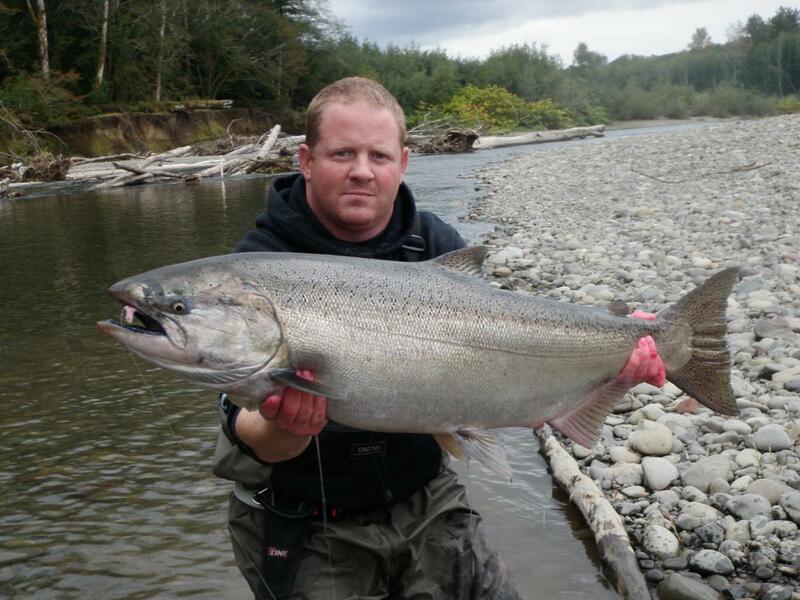 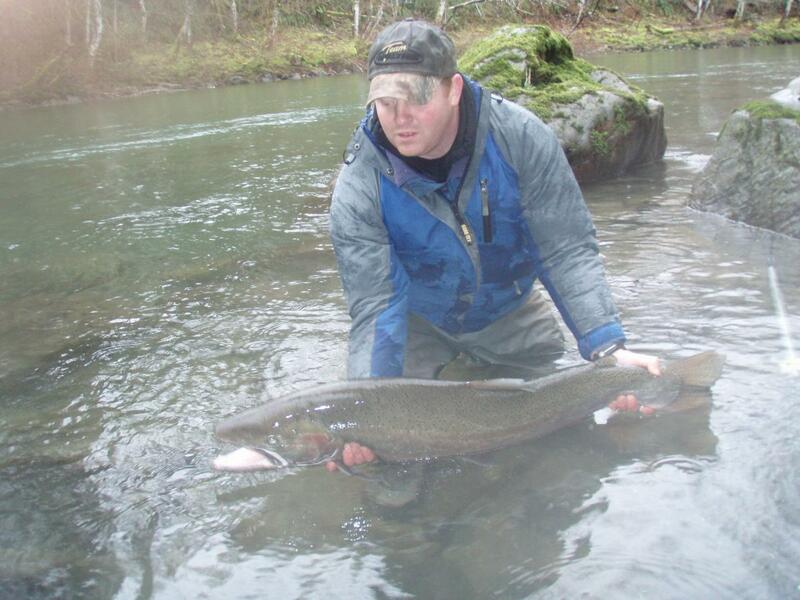 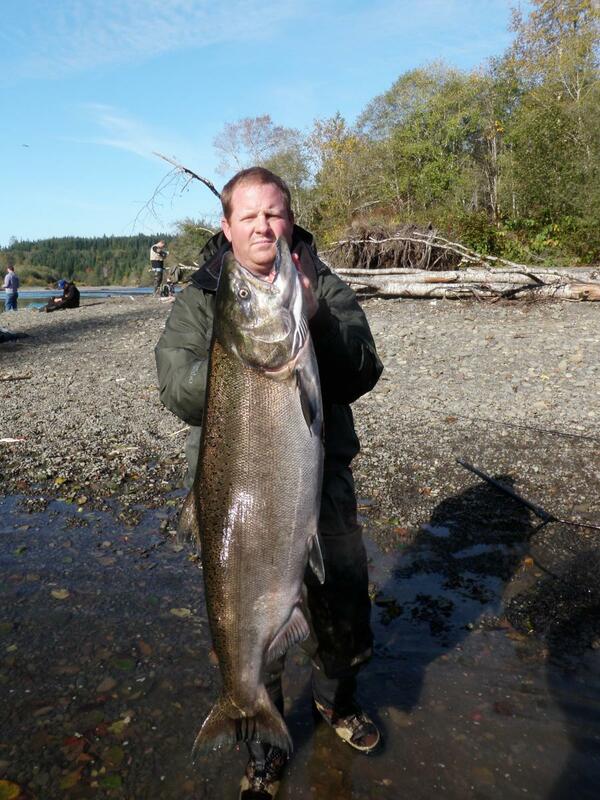 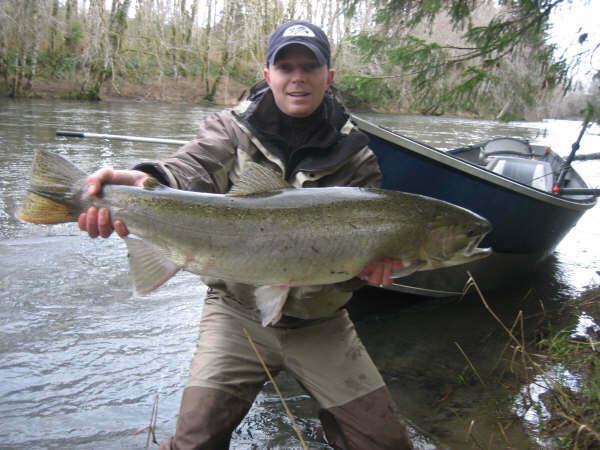 Washington’s Olympic peninsula offers some of the best steelhead fishing anywhere. 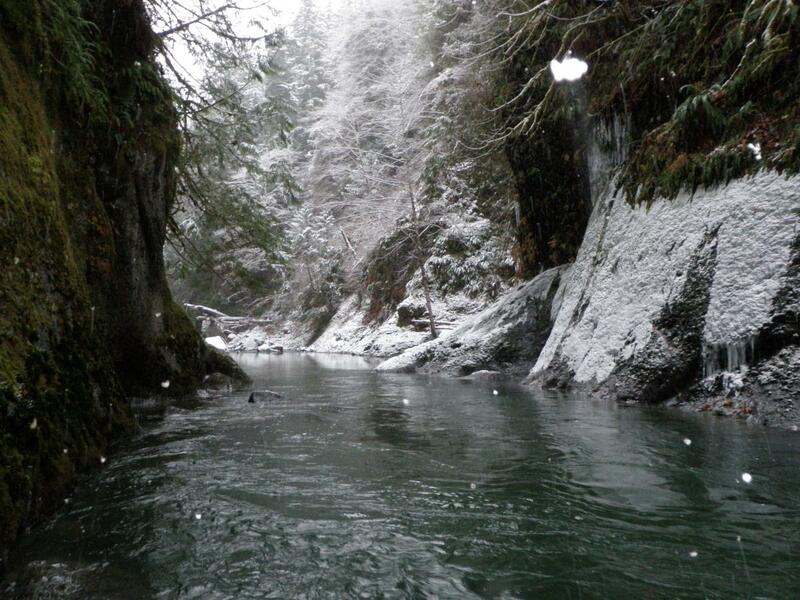 A peaceful float through the woods in the winter is a tough experience to match. 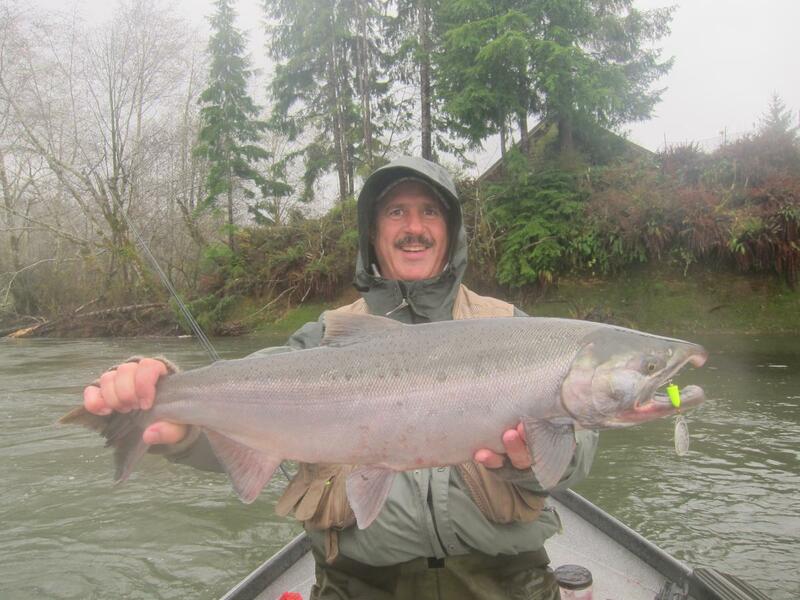 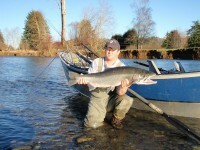 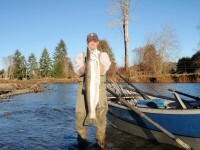 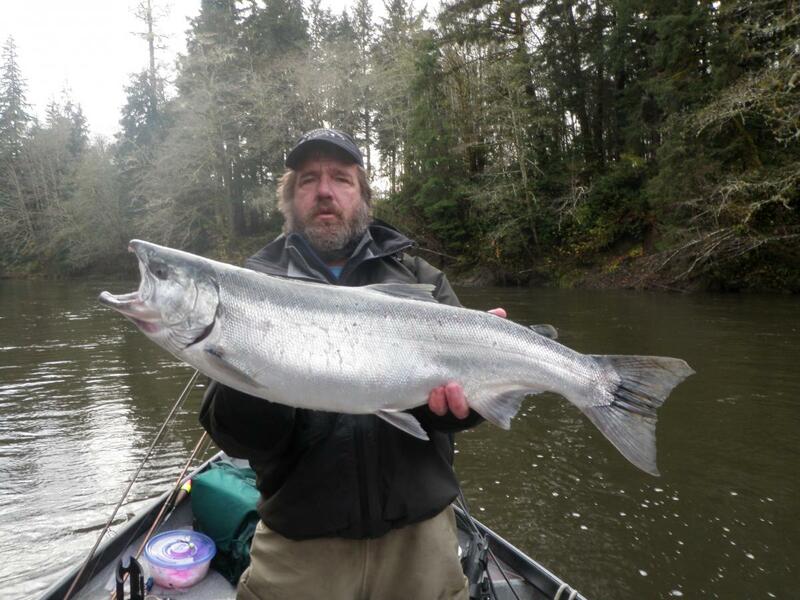 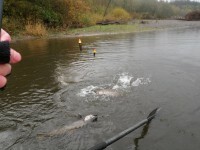 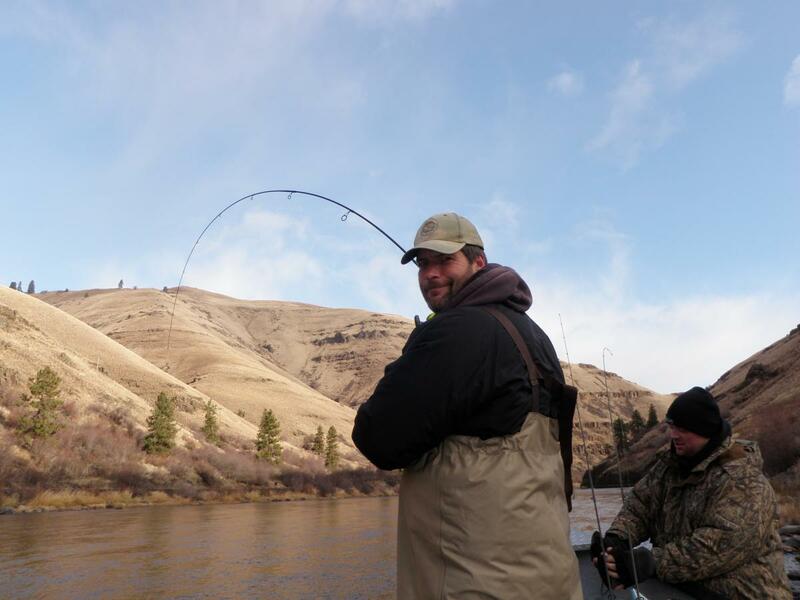 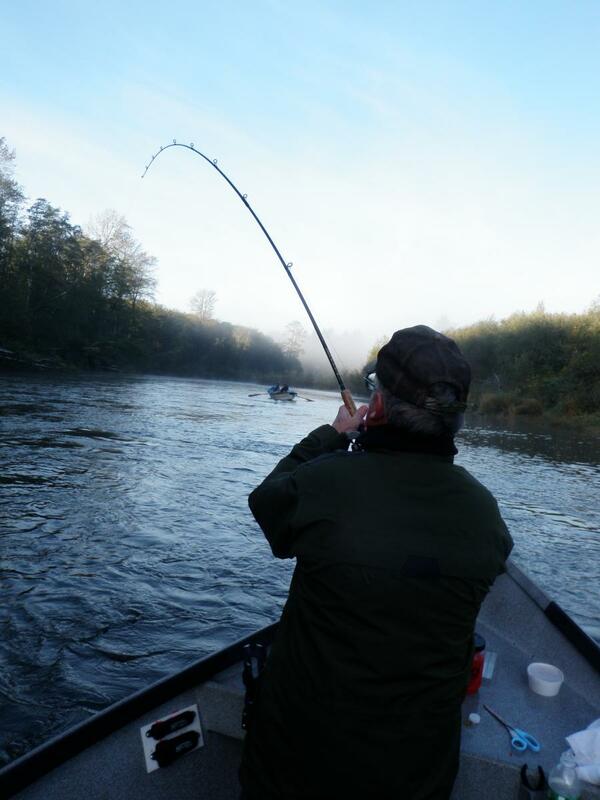 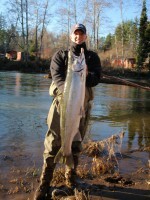 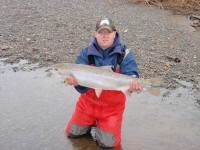 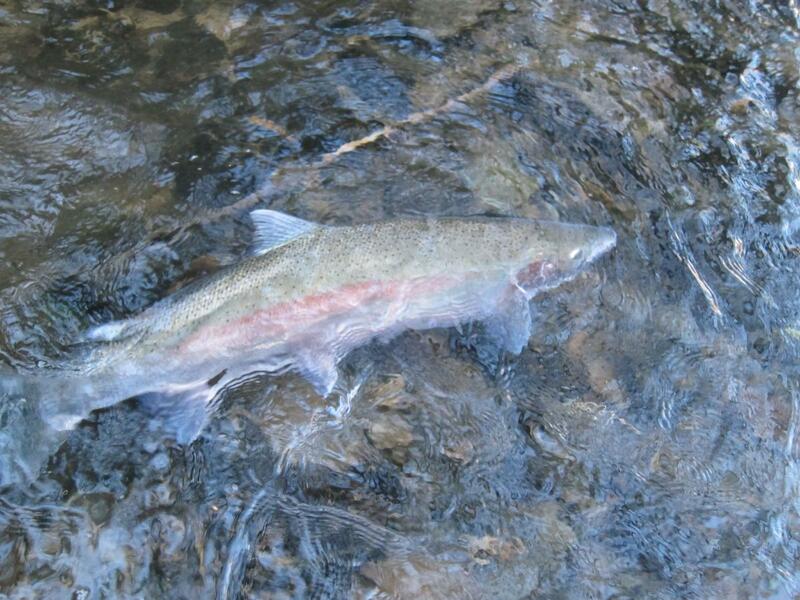 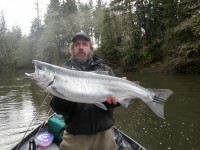 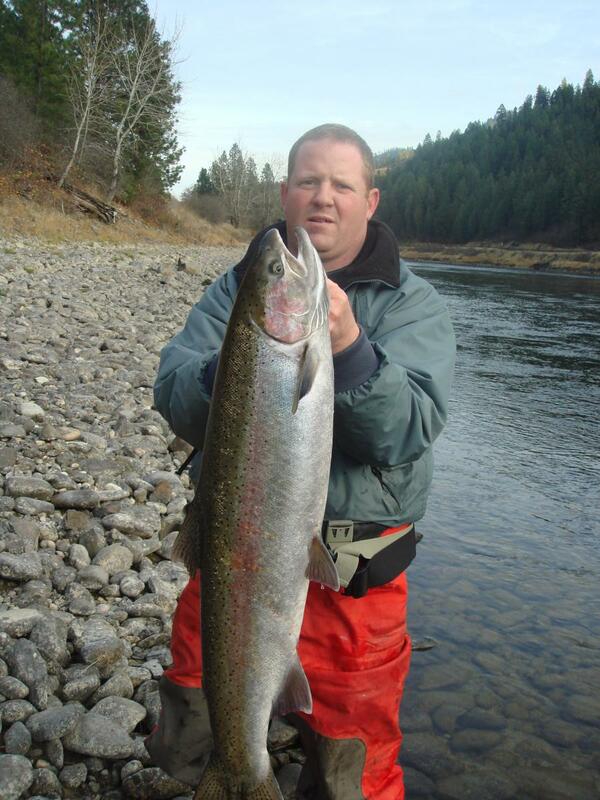 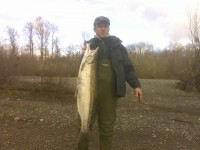 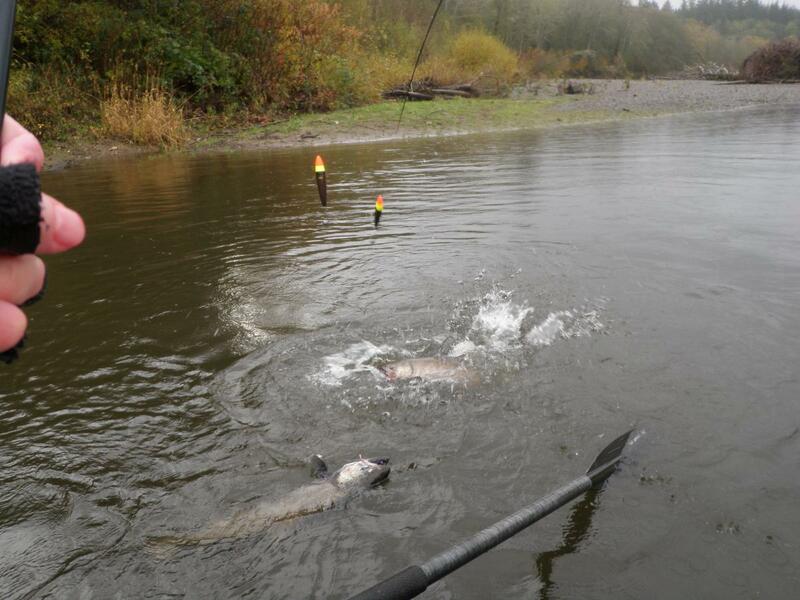 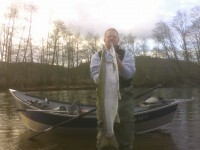 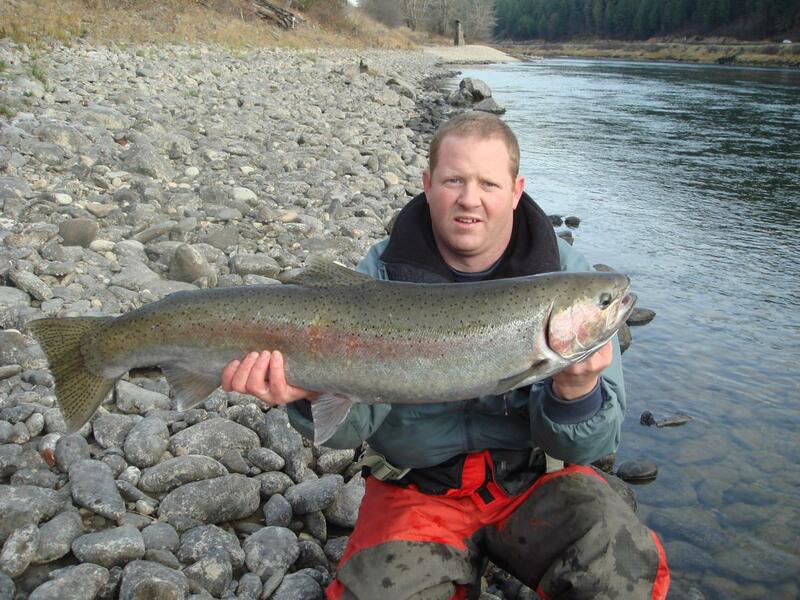 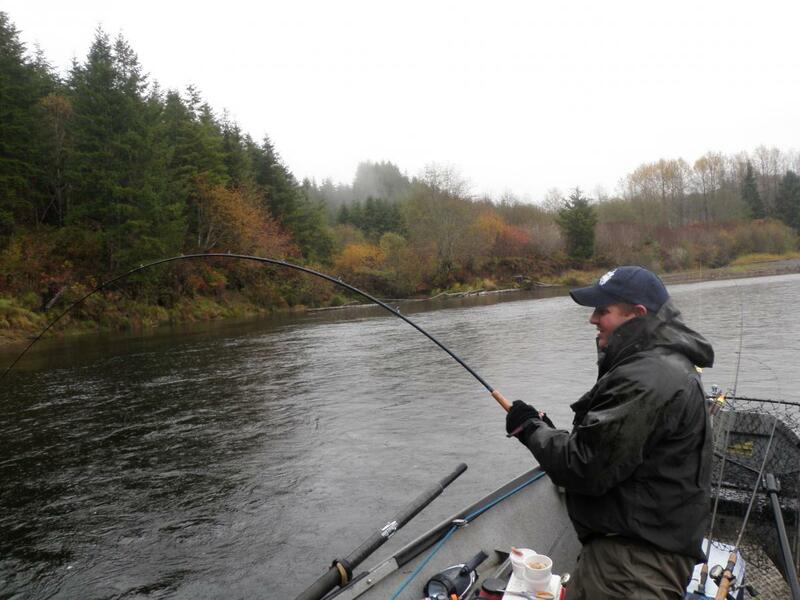 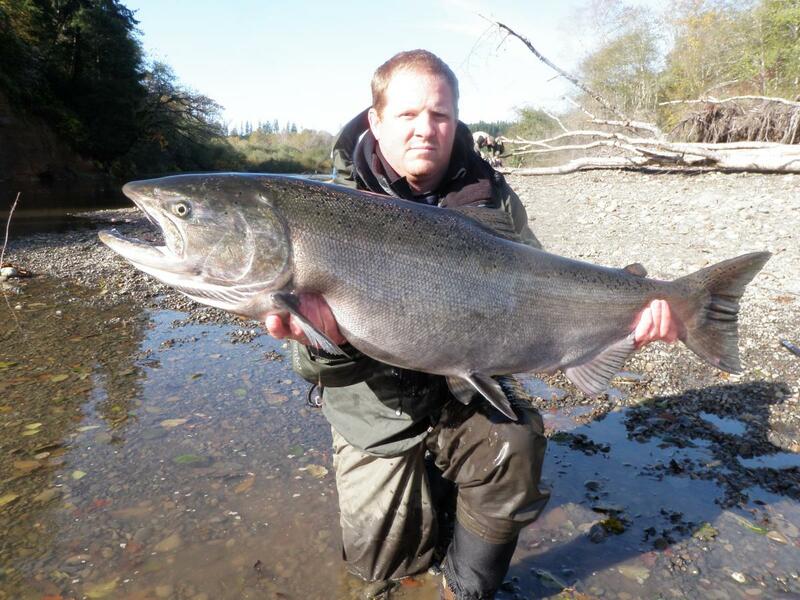 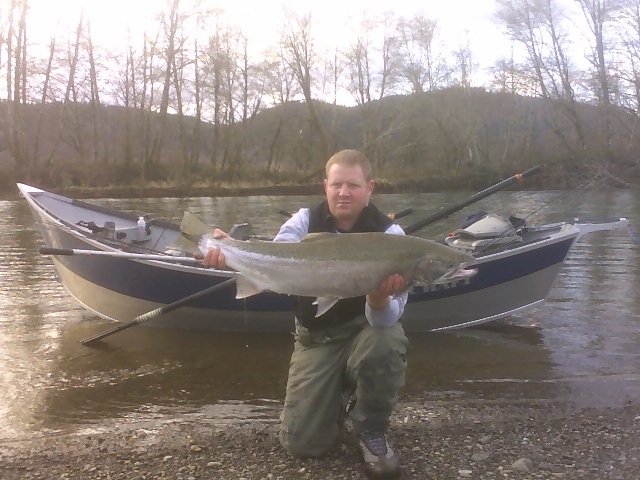 The steelhead start to trickle in mid-November and are there are good numbers by the 3rd week in November. 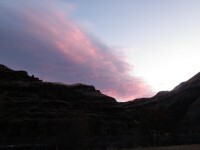 Peak season is from November 20th to the 1st of February. 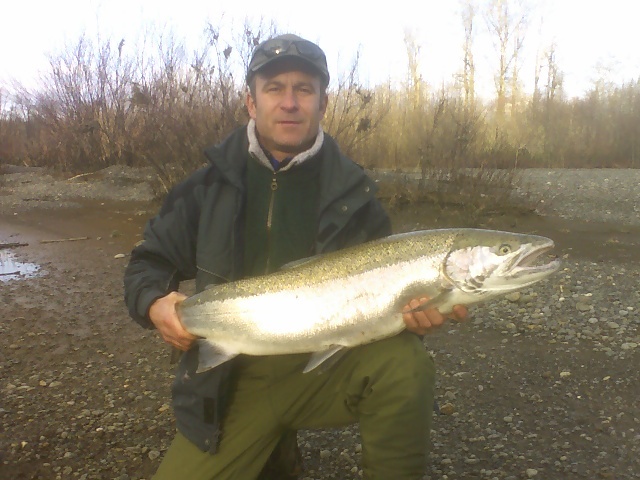 The average hatchery steelhead is 4 to 15 pounds with fish over 20 pounds possible ( these fish are great fighters on light gear!). 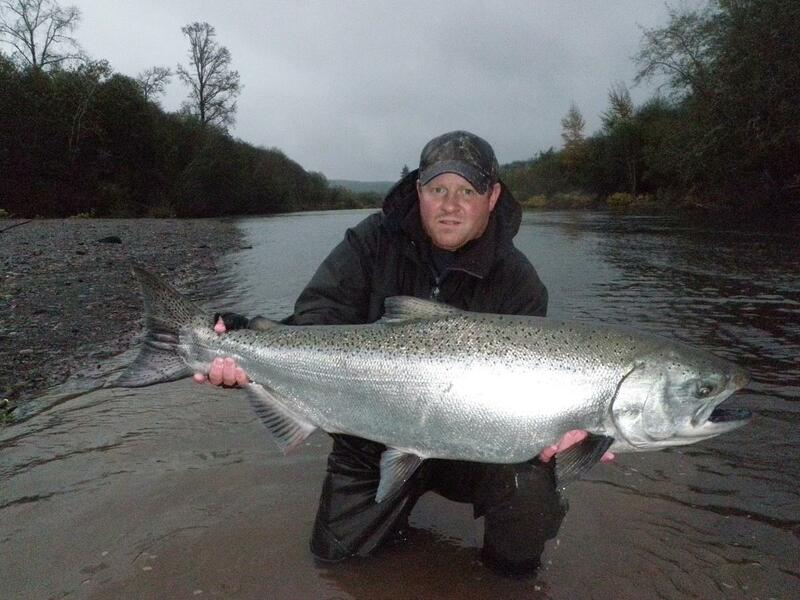 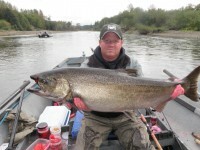 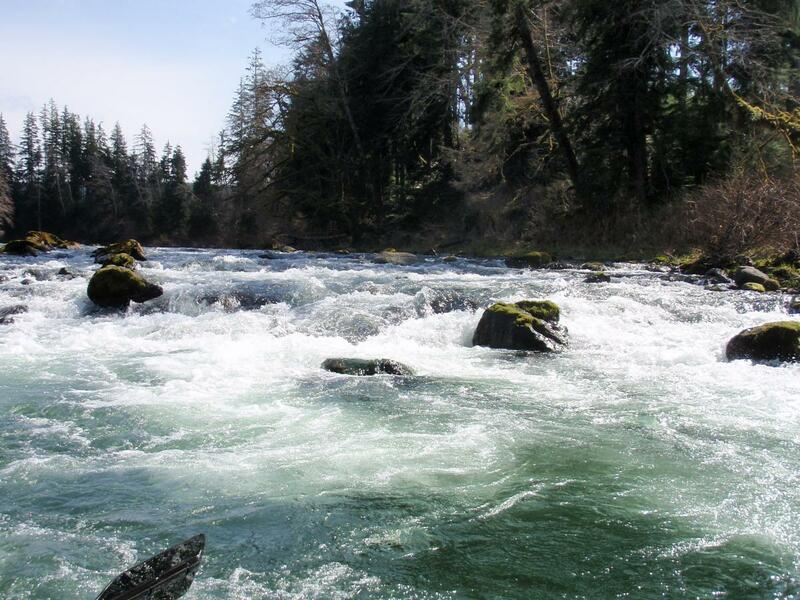 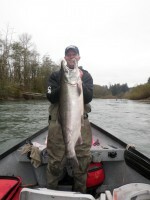 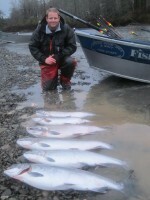 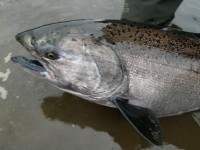 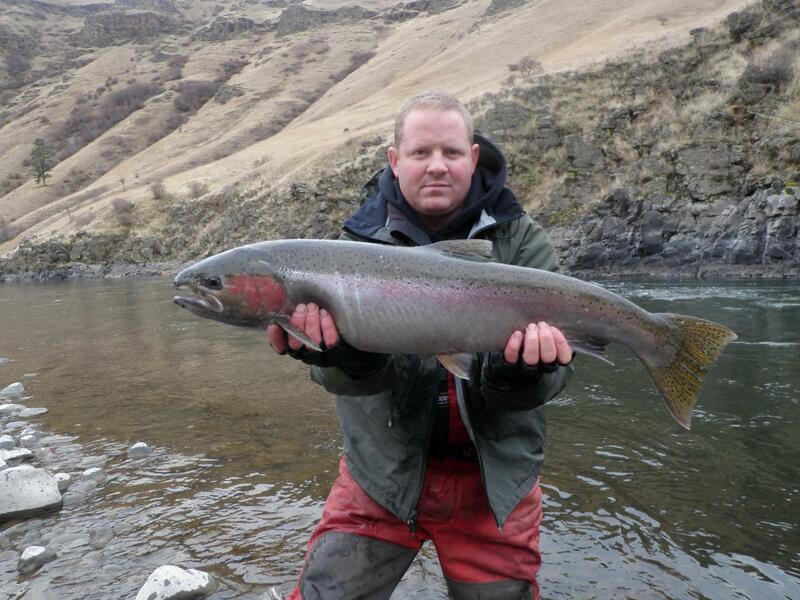 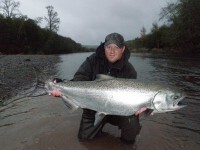 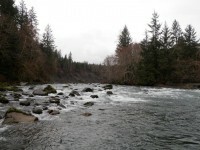 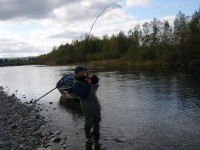 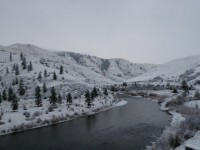 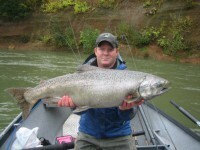 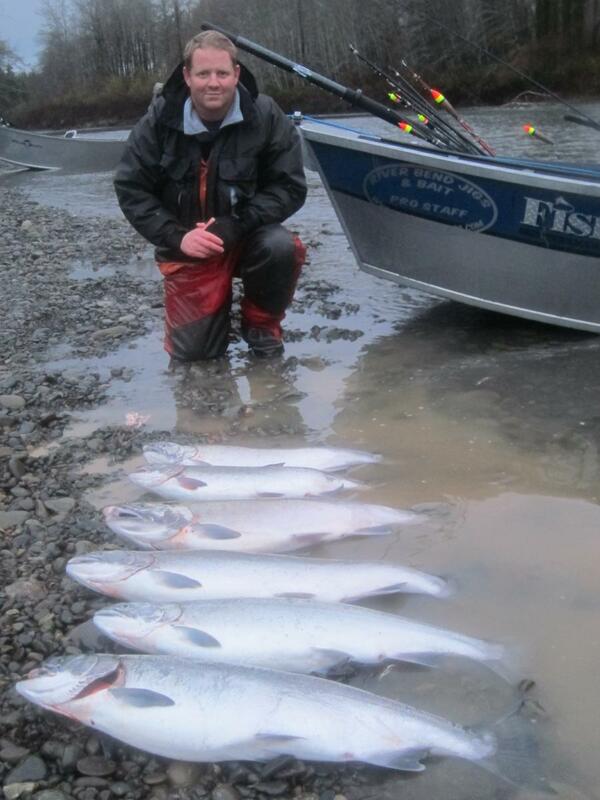 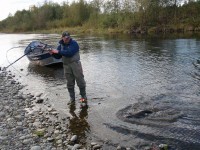 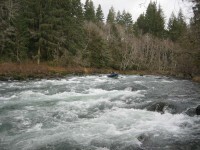 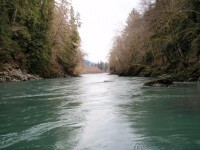 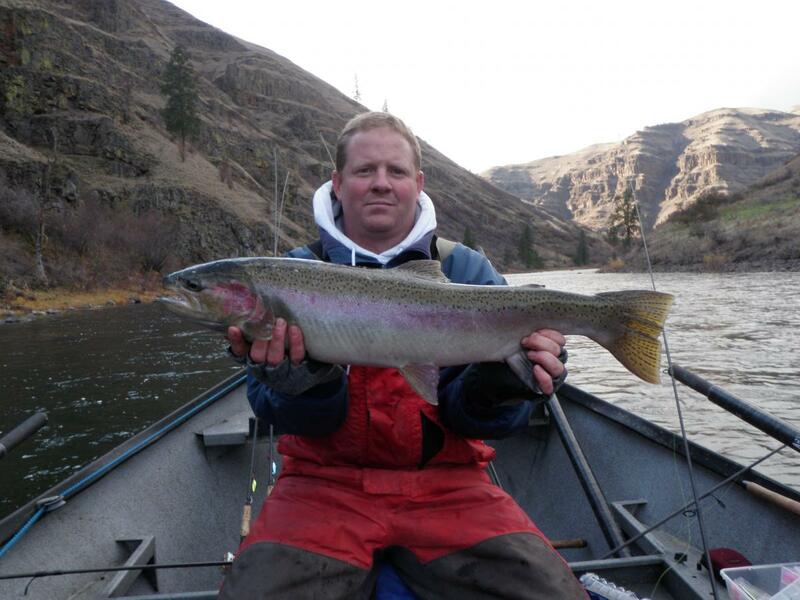 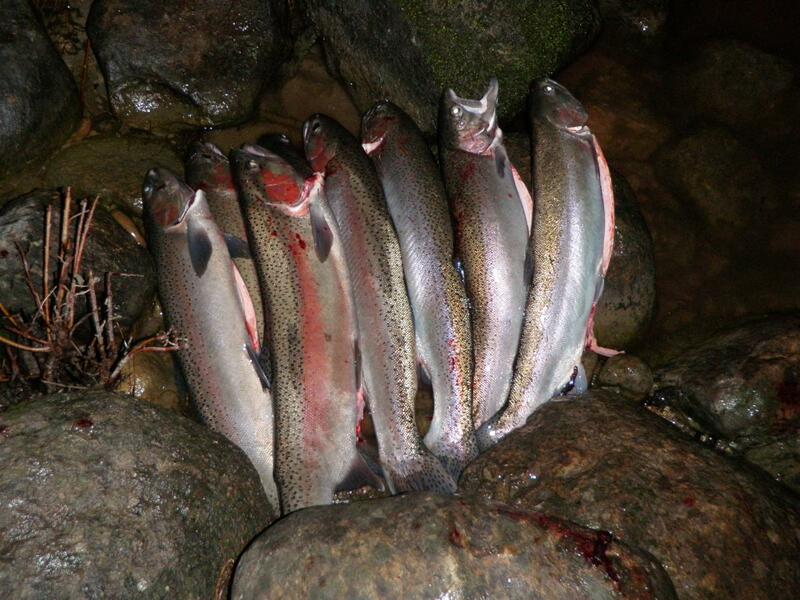 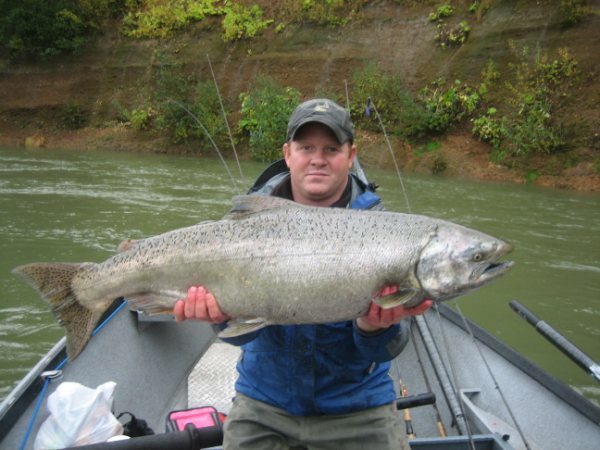 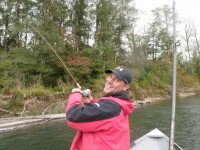 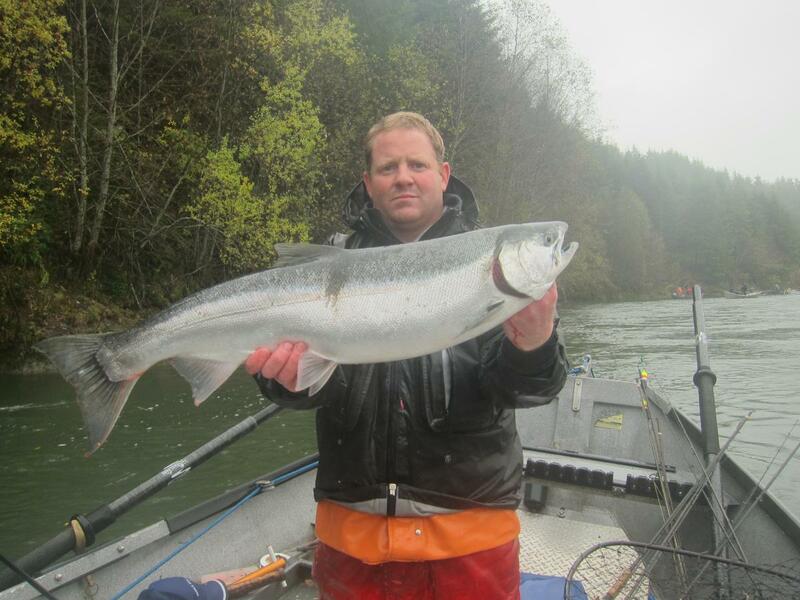 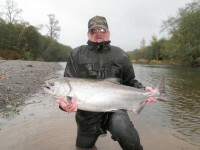 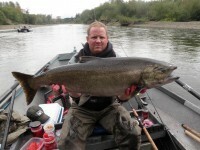 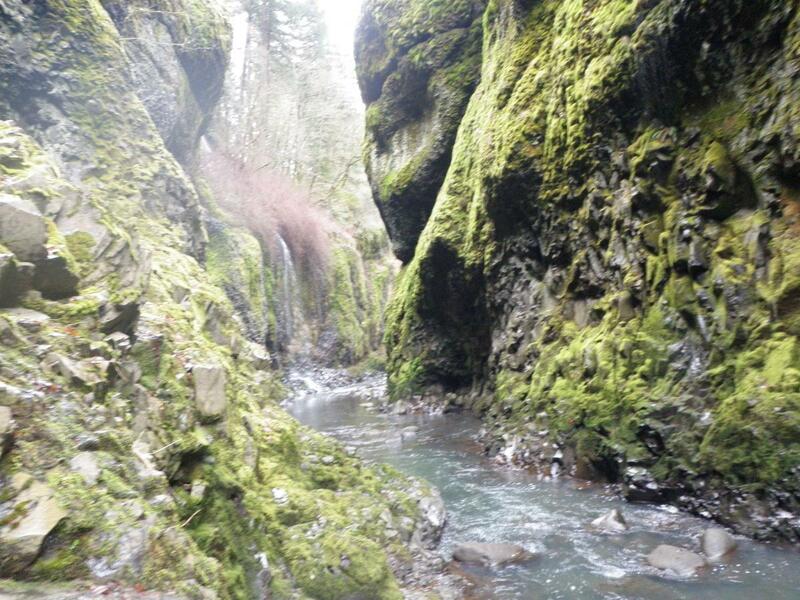 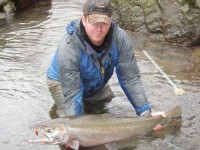 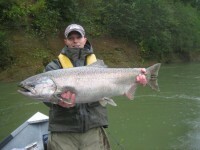 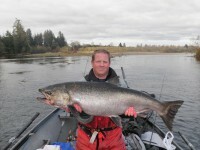 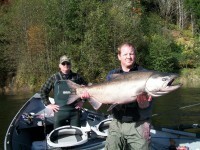 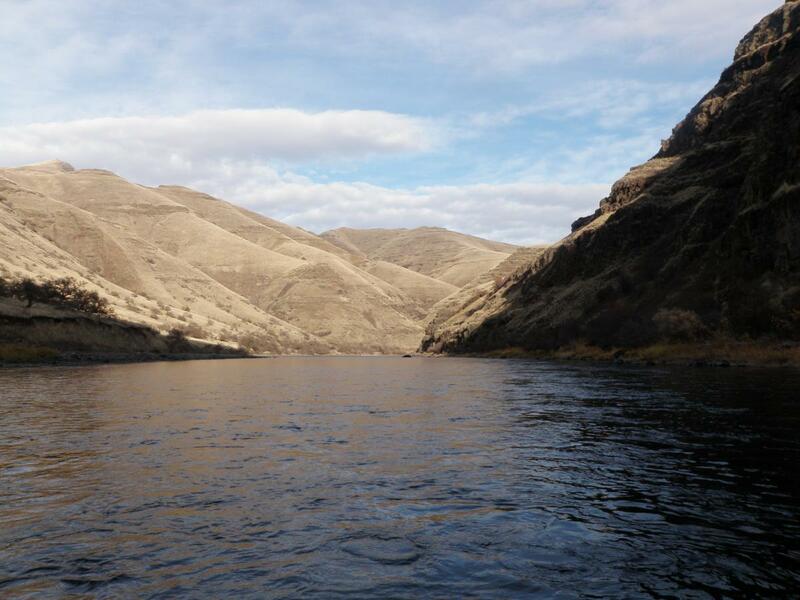 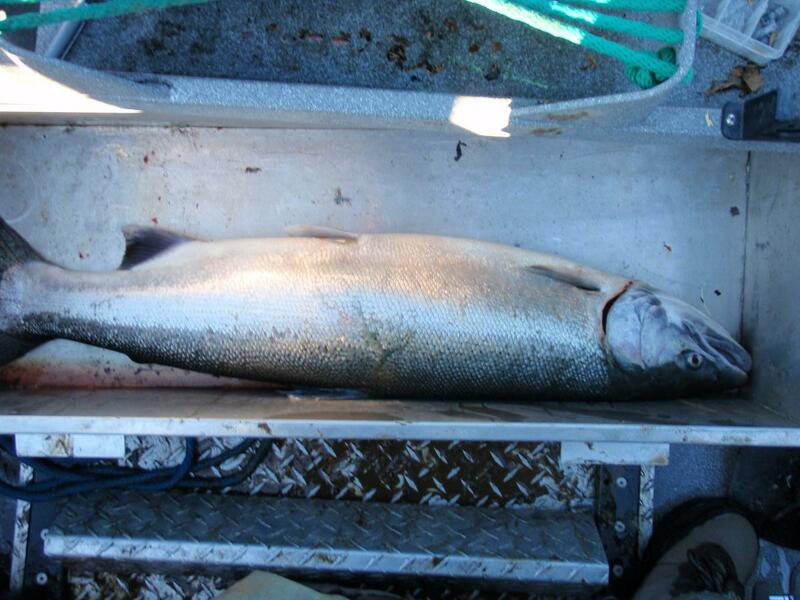 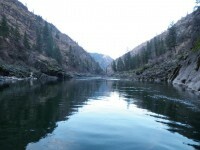 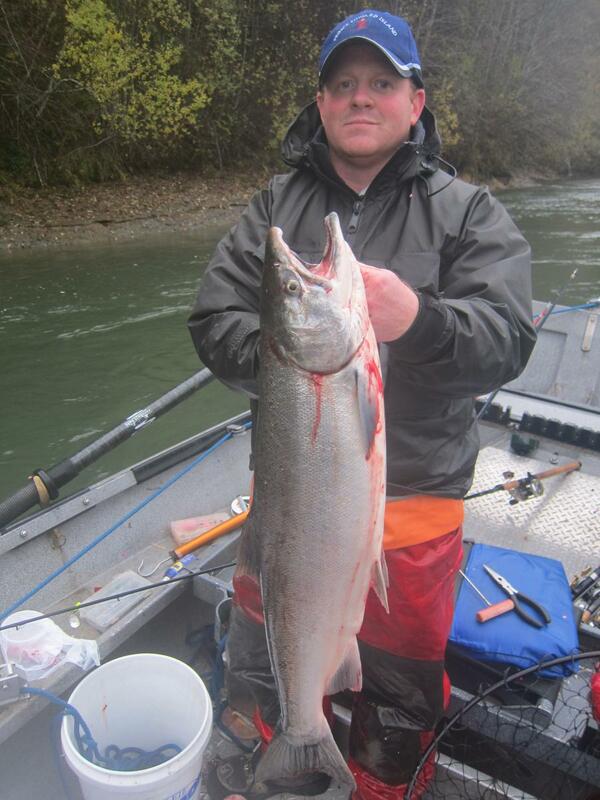 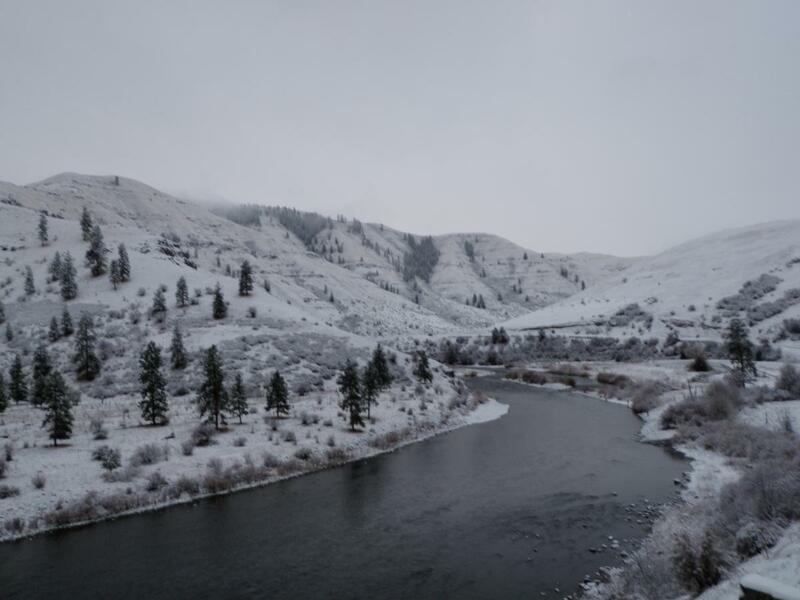 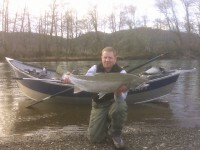 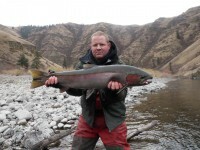 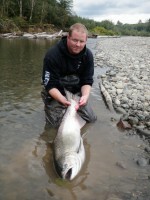 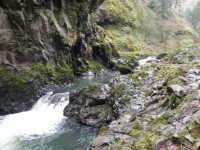 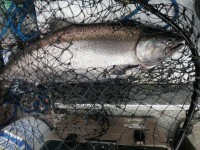 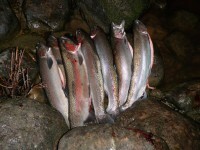 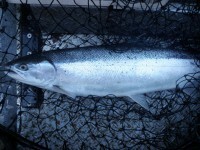 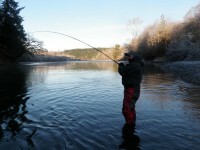 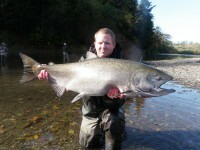 The limit in most areas is two hatchery steelhead per day. 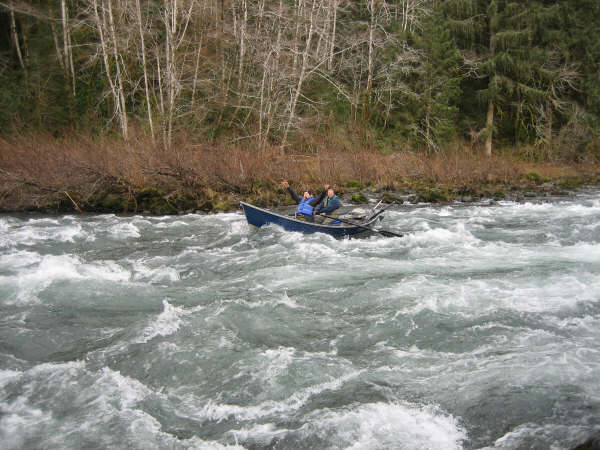 All river trips are on drift boats. We usually meet before daylight and fish until dark most days. Although we do have some outstanding days, where we hook 15, 20 or even more steelhead a day, that is not normal. 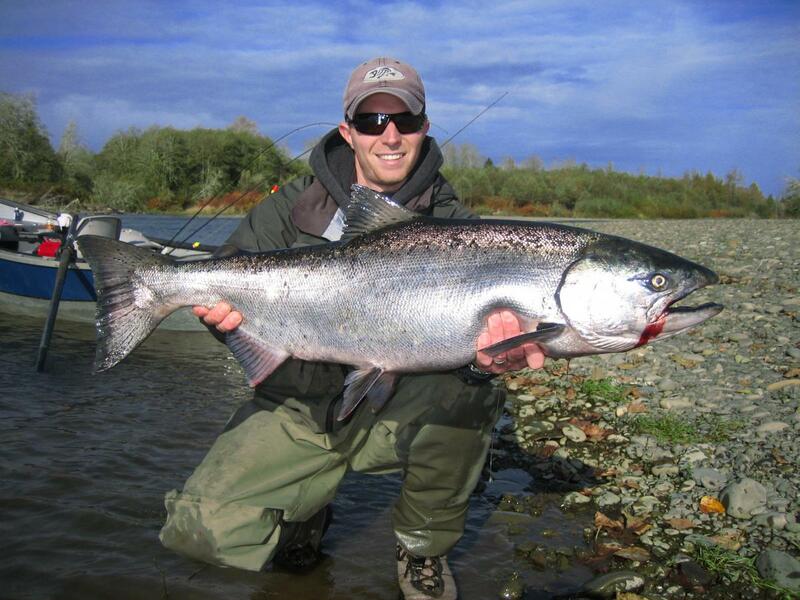 This is a slow paced fishery where you may only get a few hook-ups a day. 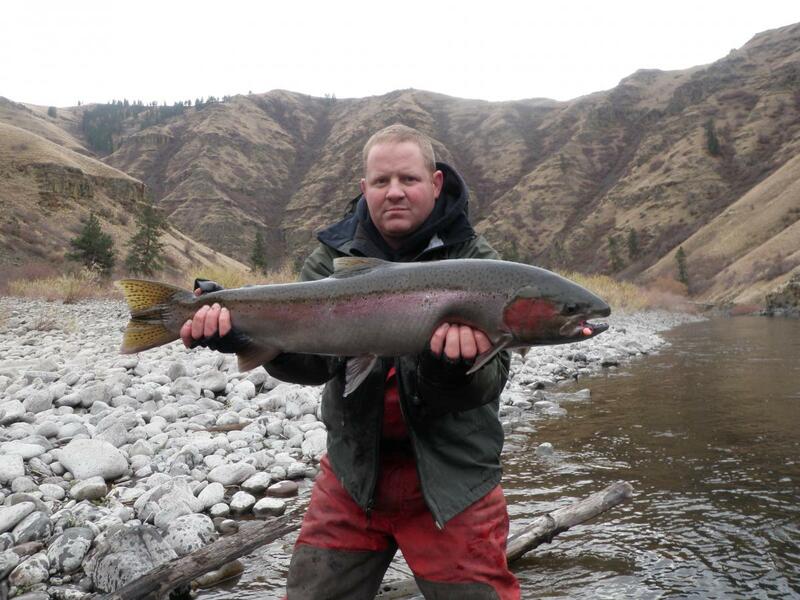 We also hook some silvers in the early part of the season ( Nov to early Dec) and it is not unusual to hook some cutthroat or bull trout on these steelhead trips. 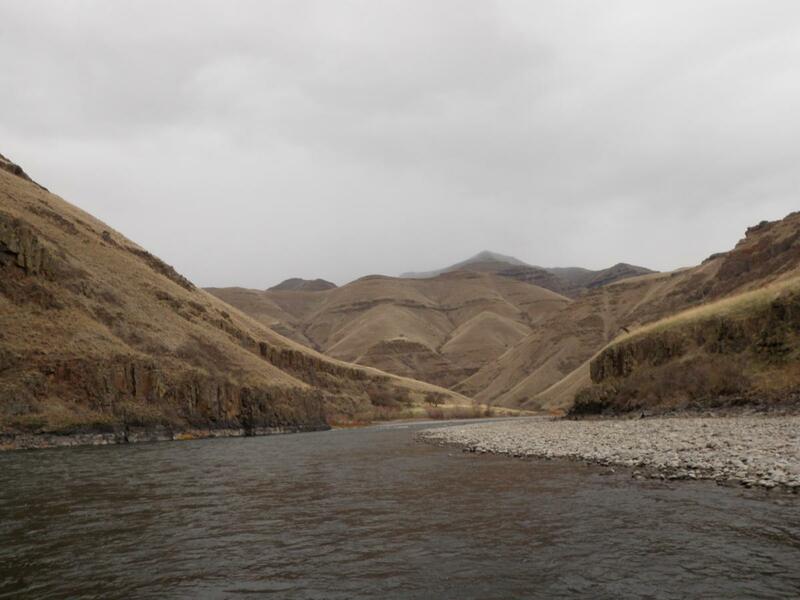 You will want to bring good rain gear tops and bottoms and waterpoof boots ( if you have waders I would strongly suggest you bring them) we may have to get out of the drift boat if water conditions are low or if there is a tree across the river. It is also nice to get out of the boat and fish from the bank at times. 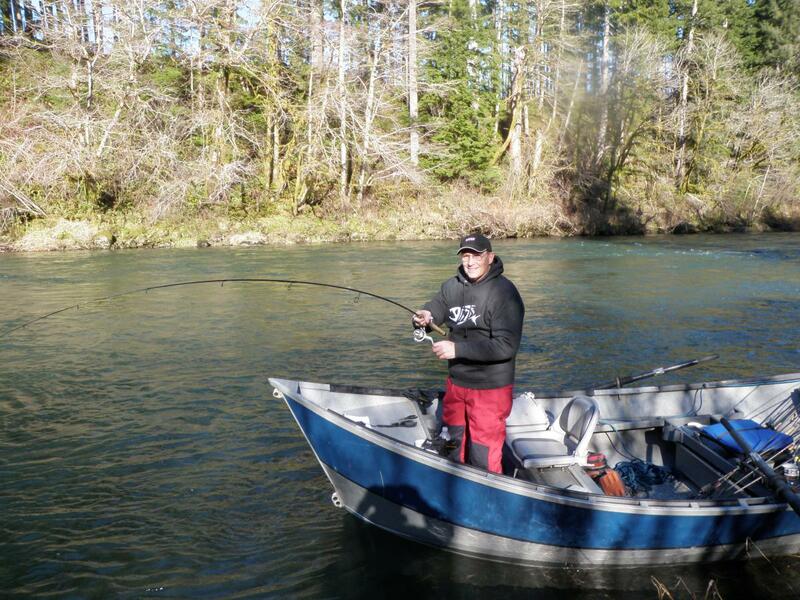 Please dress warm it can get cold in the drift boats during winter even with a heater I recommend some glovers hand warmers and a waterproof hat. 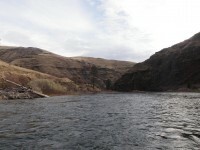 You will want to bring your lunch and drinks also. 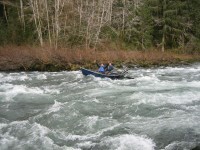 please pack light there is not much room in our drift boats and extra weight makes it harder to row and anchor the boat.